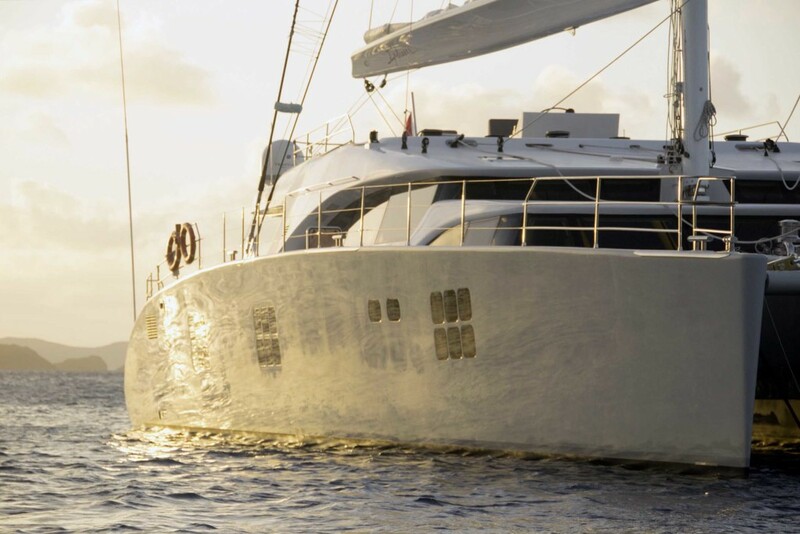 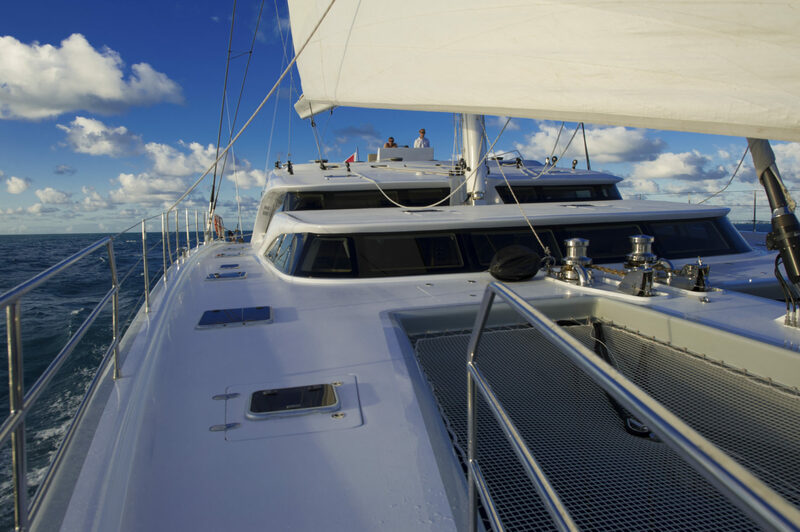 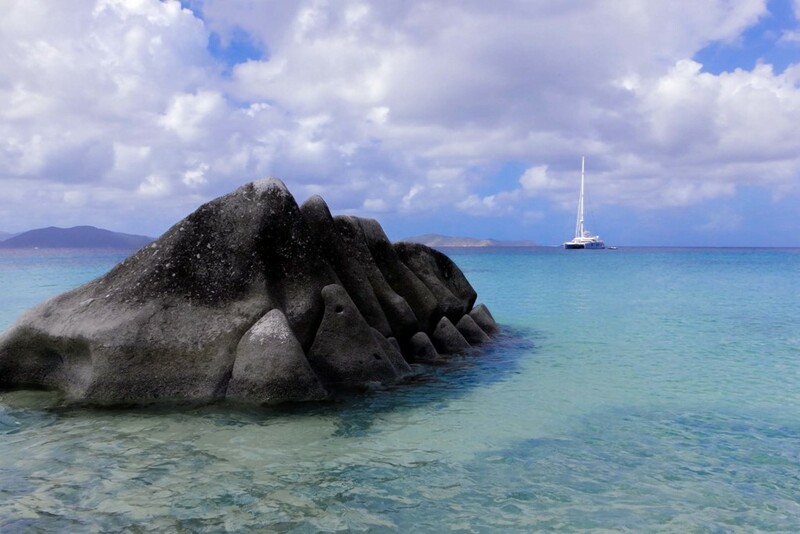 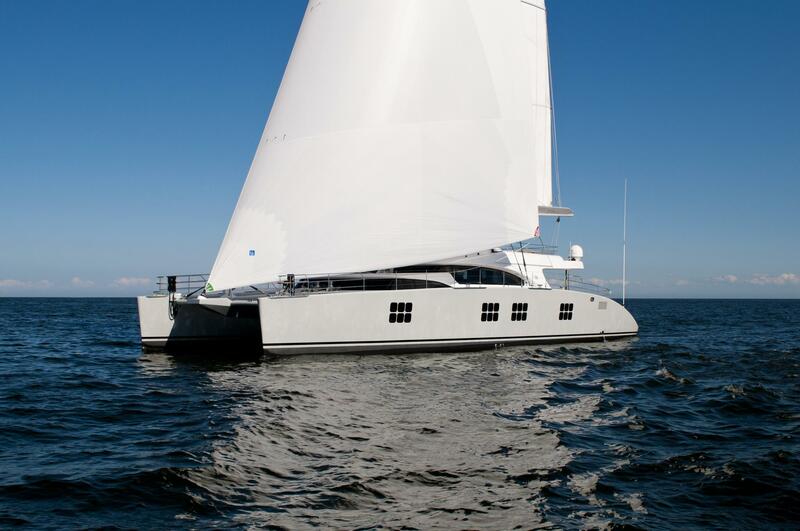 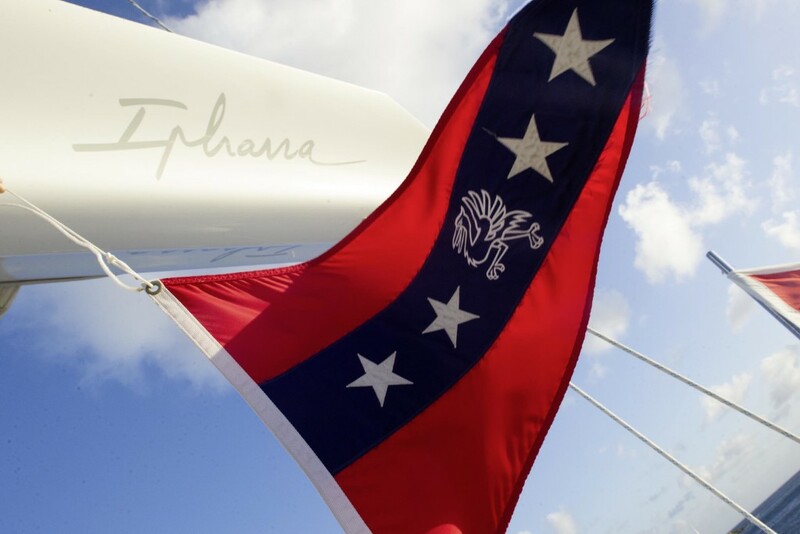 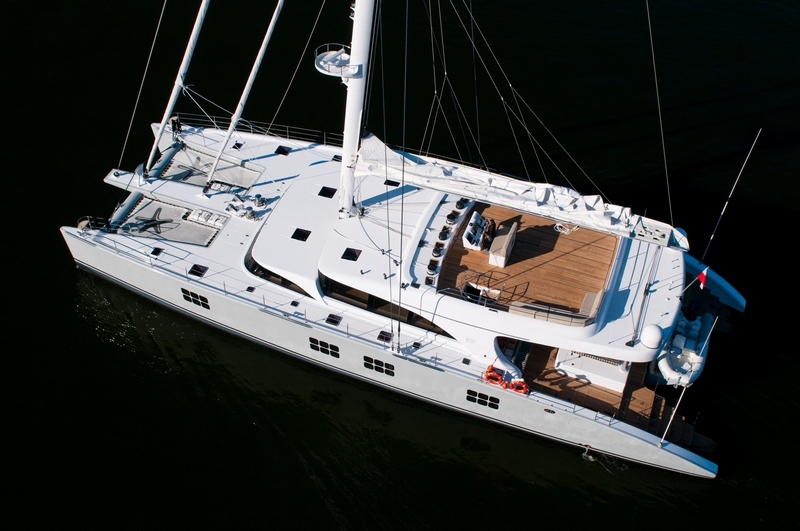 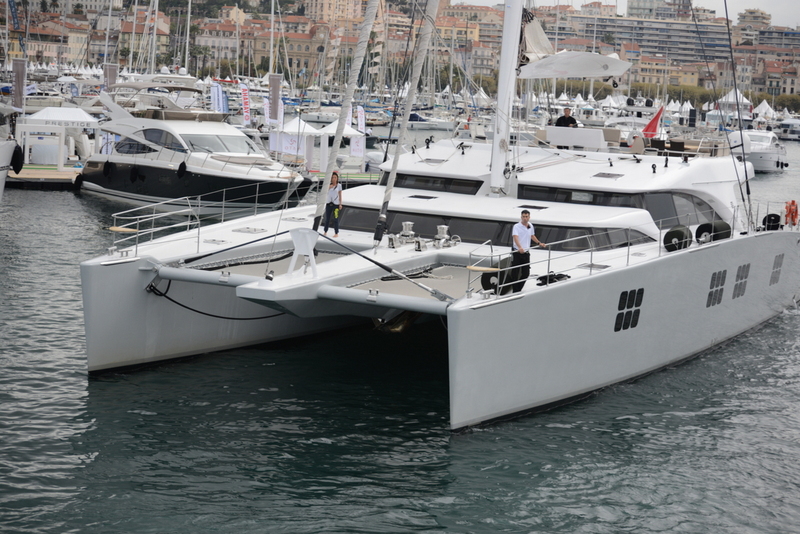 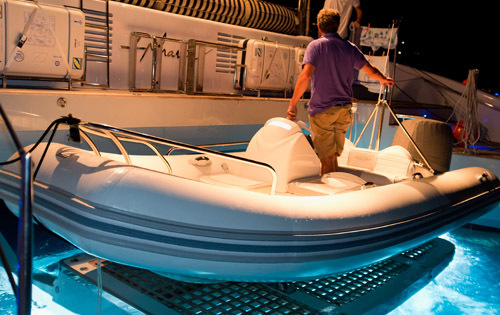 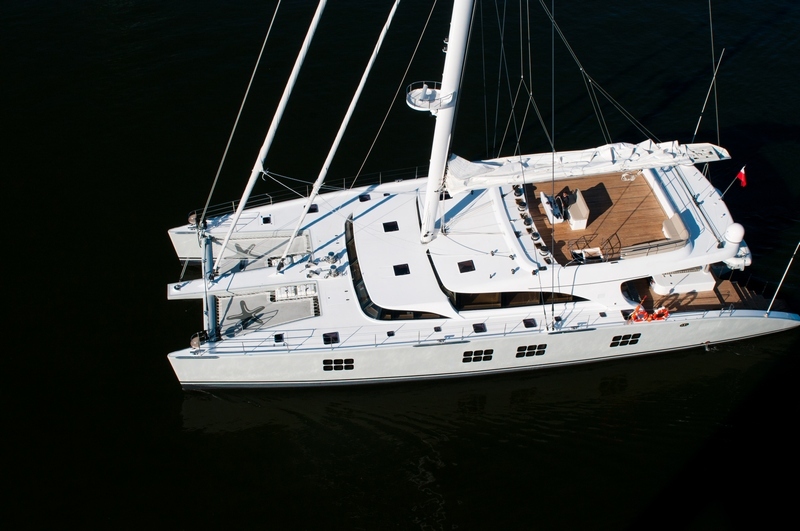 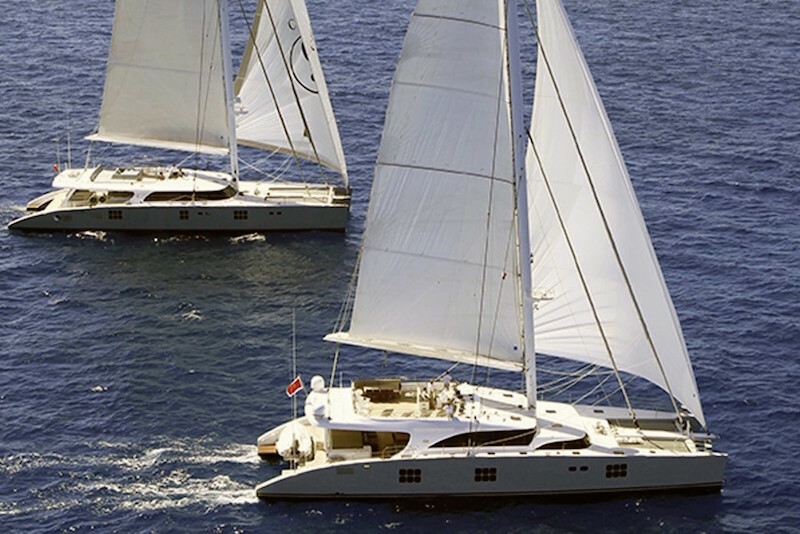 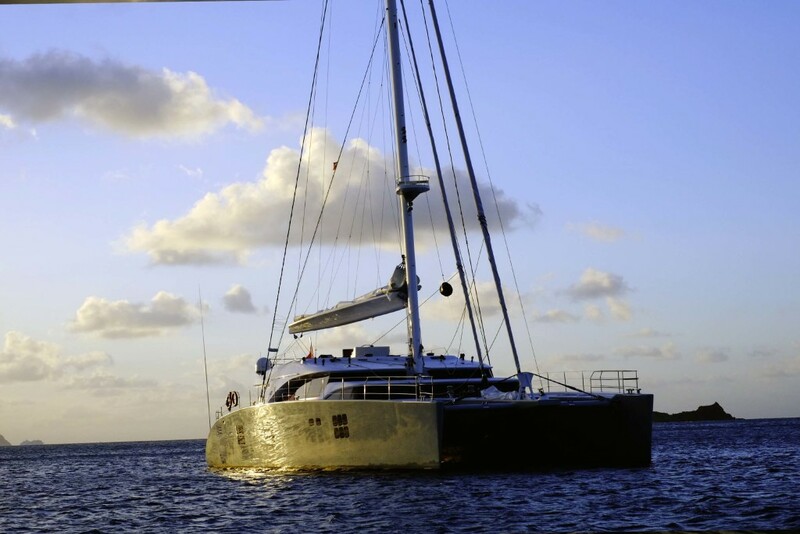 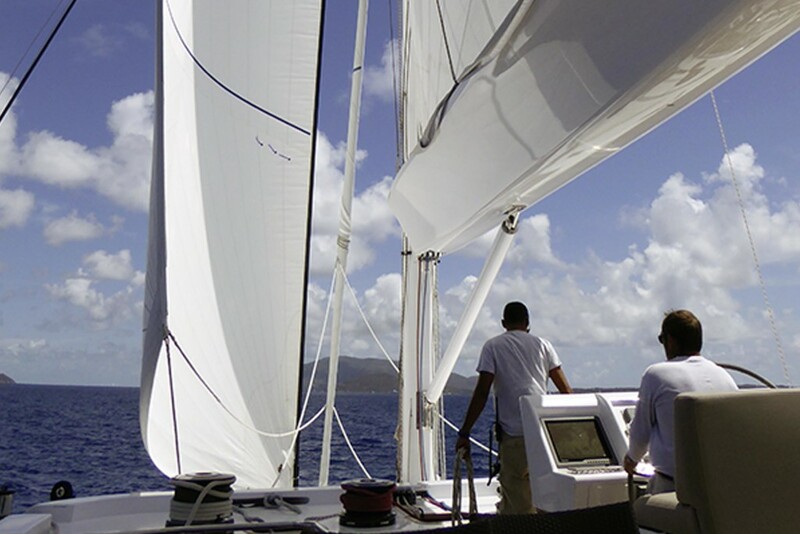 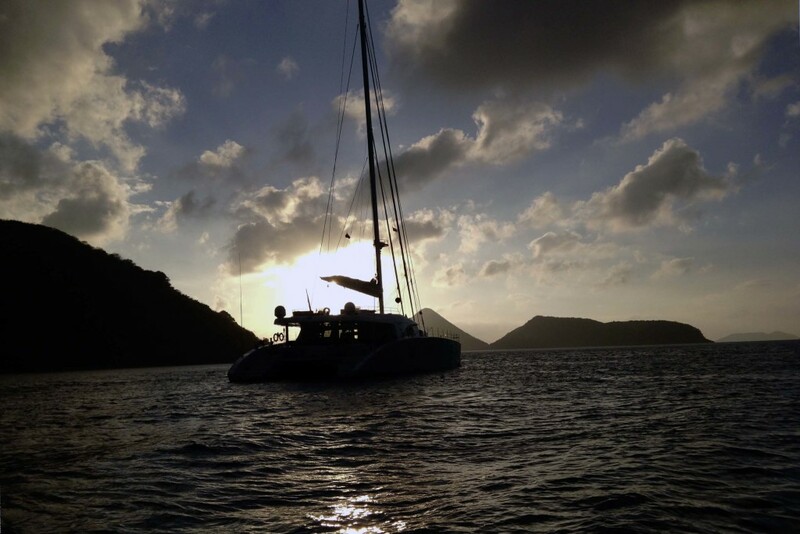 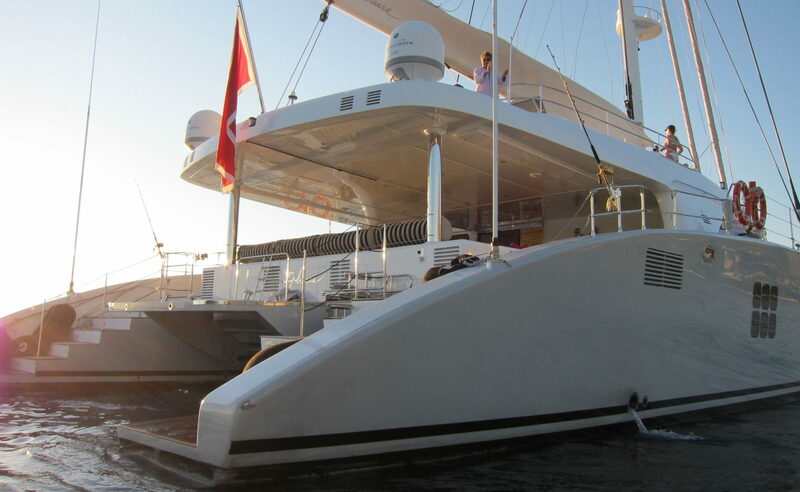 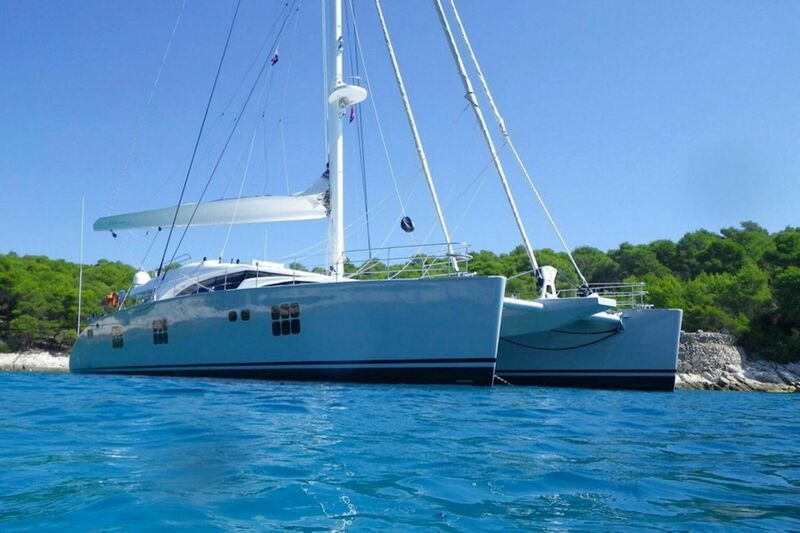 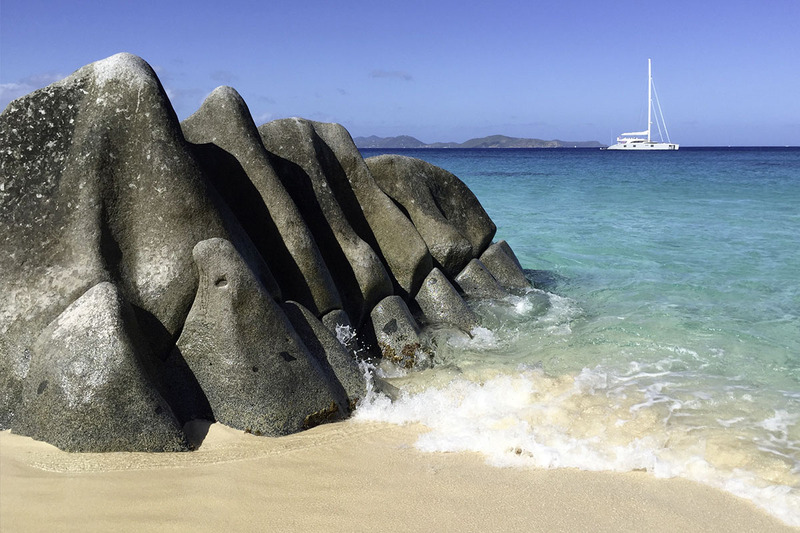 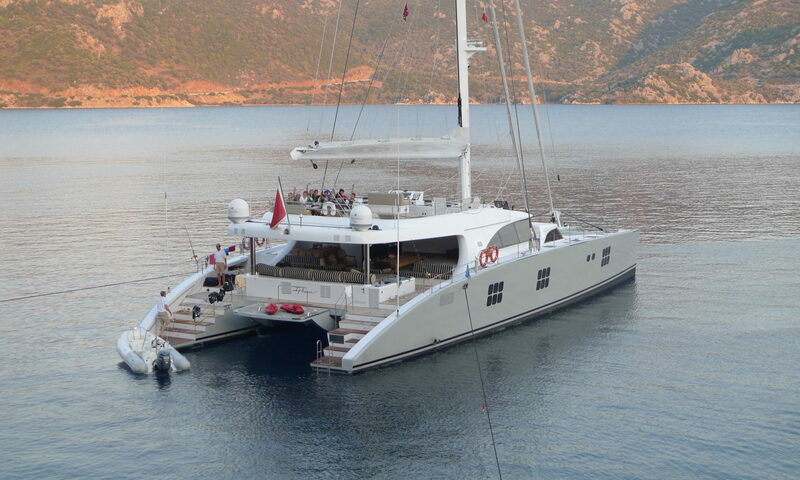 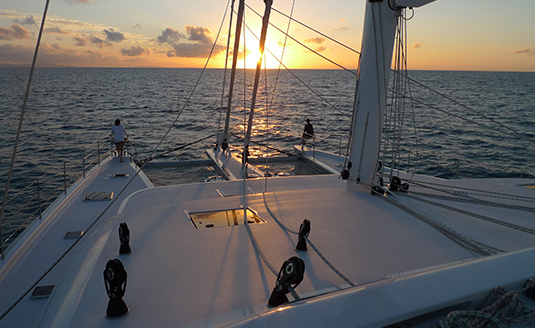 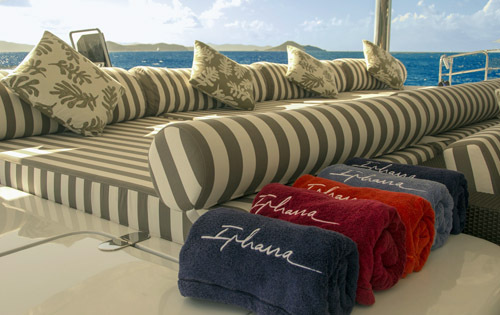 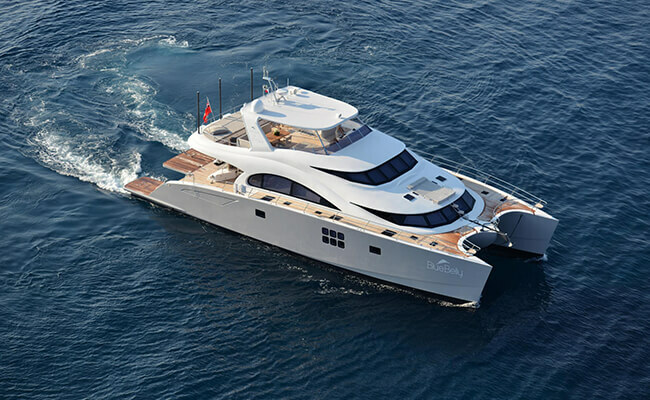 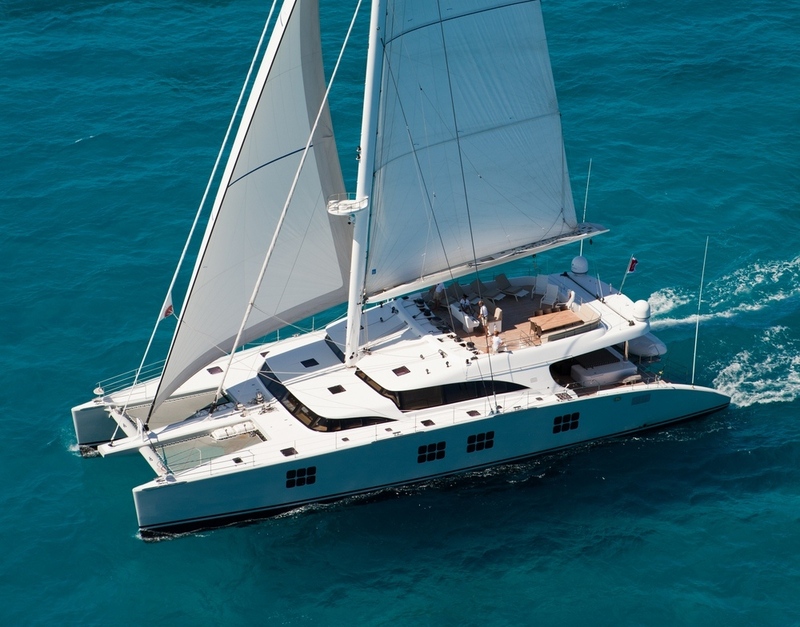 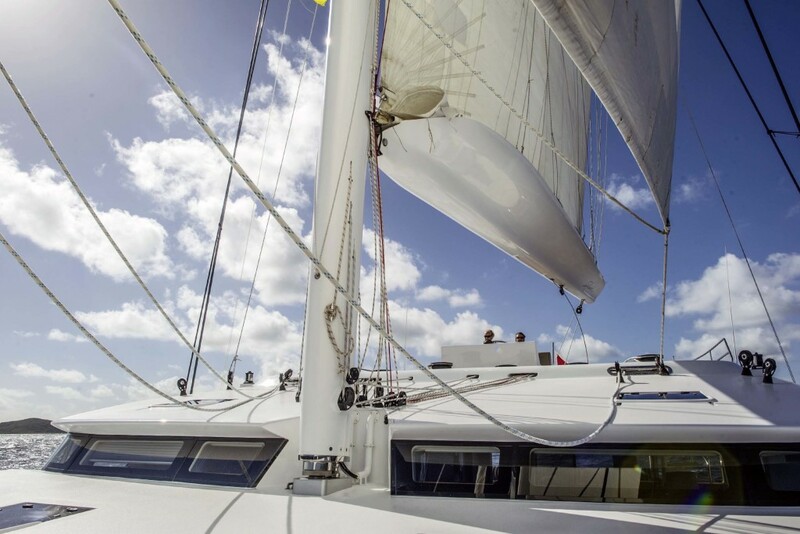 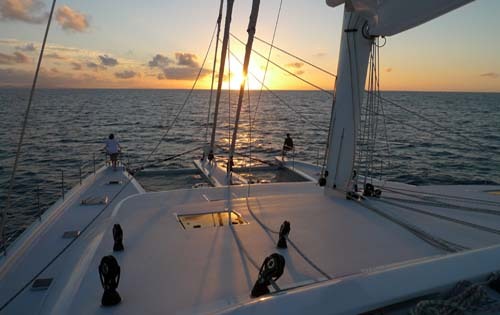 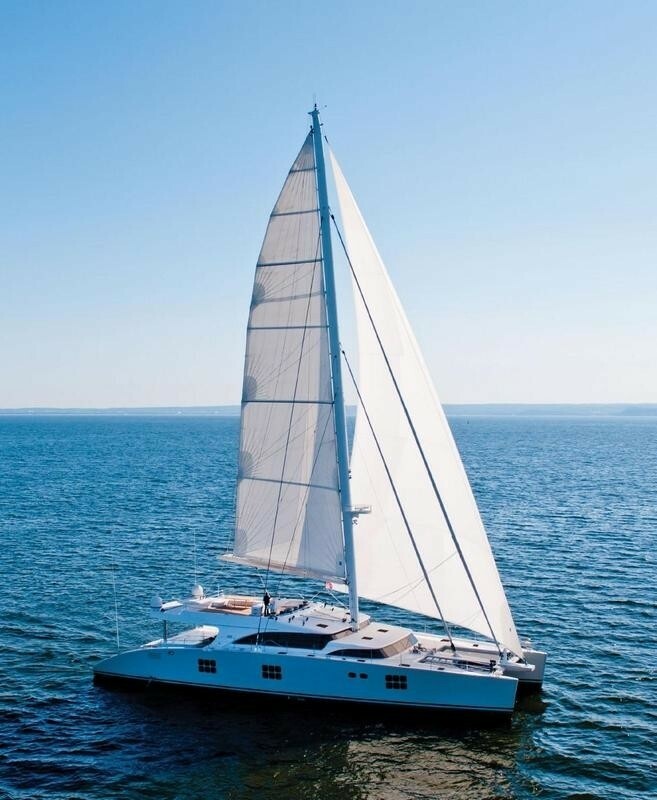 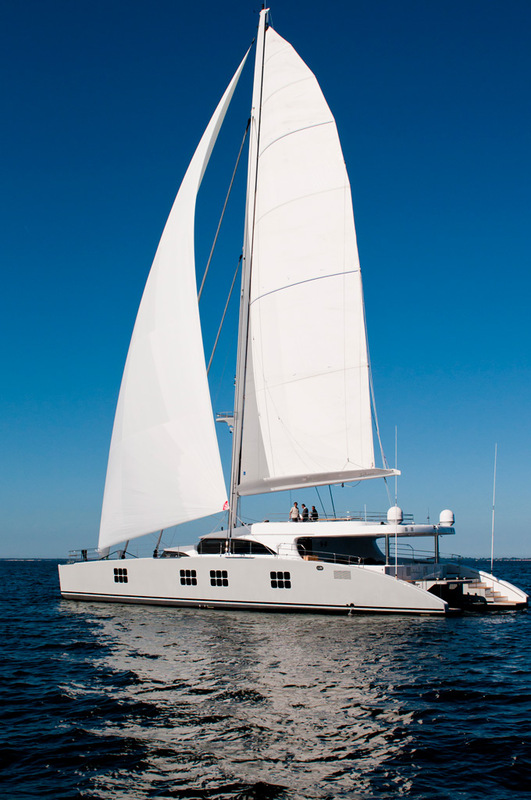 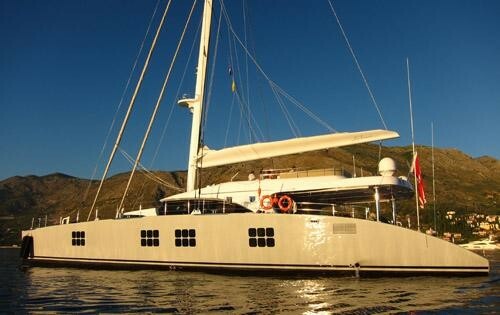 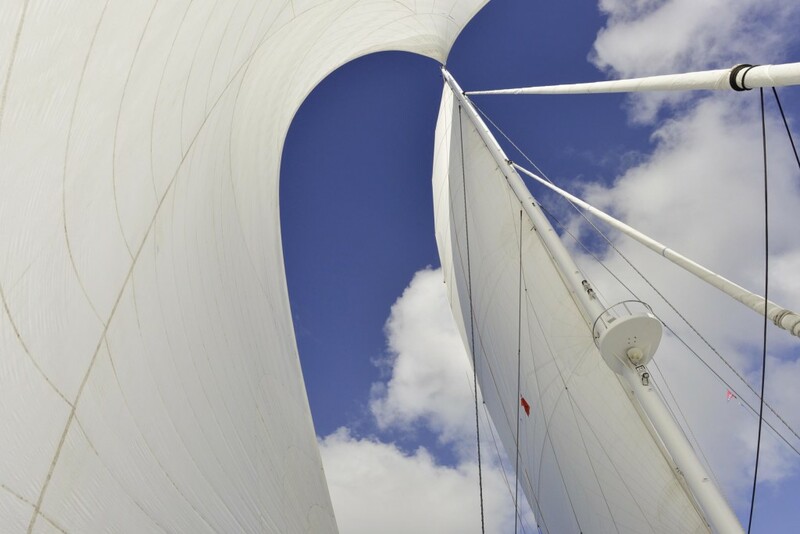 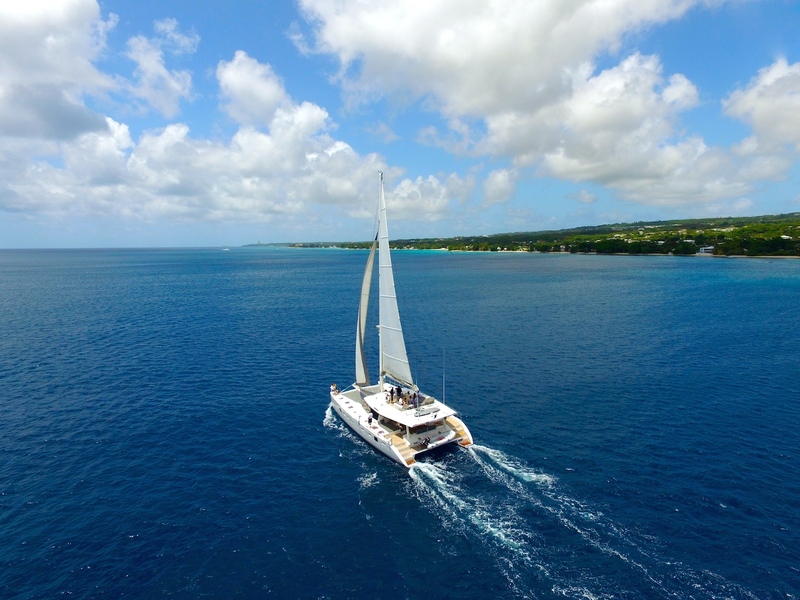 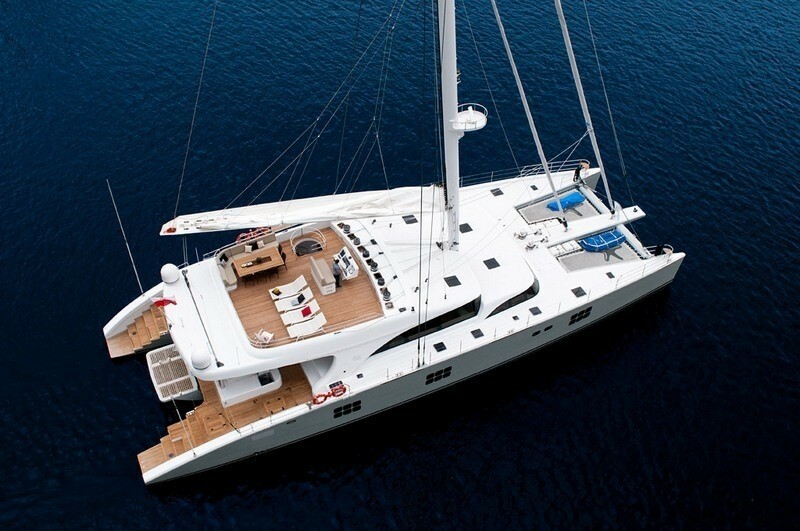 Luxury Sailing Catamaran IPHARRA was launched in 2010 and is the first 102ft Sunreef multihull ever produced. 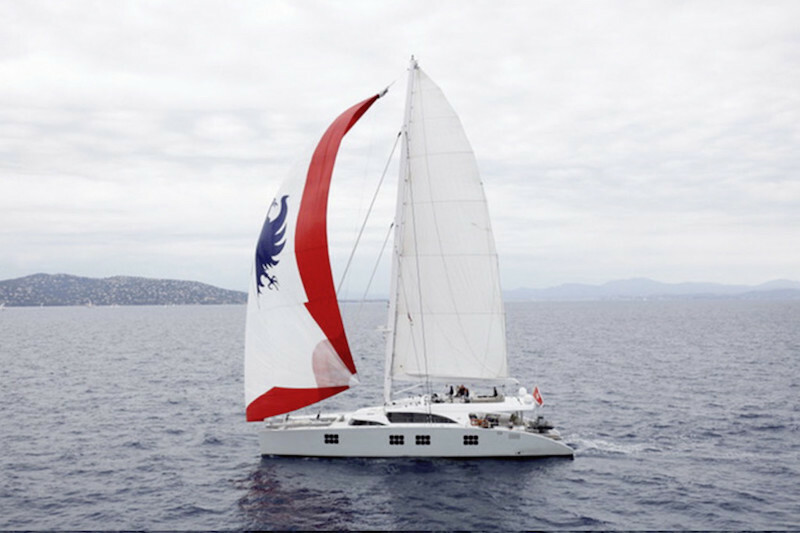 Following the continued success and improvement of the Sunreef range, IPHARRA is now one of the most popular charter yachts and boasts comfortable accommodation for up to 12 guests in five spacious cabins. 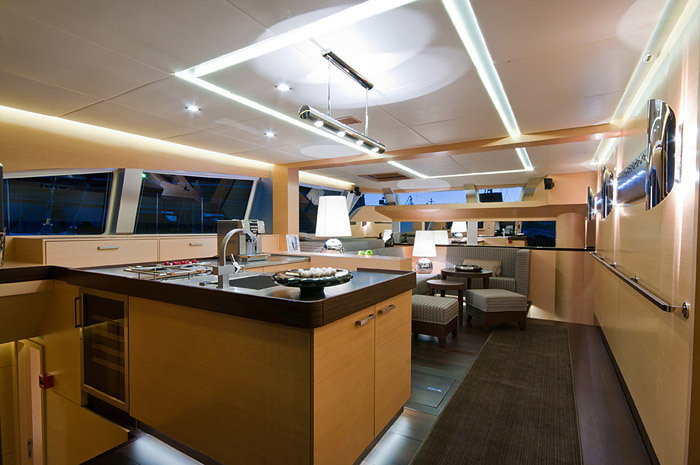 Her interior is of contemporary style and boasts some contrasting tones of wenge and anegre woods. 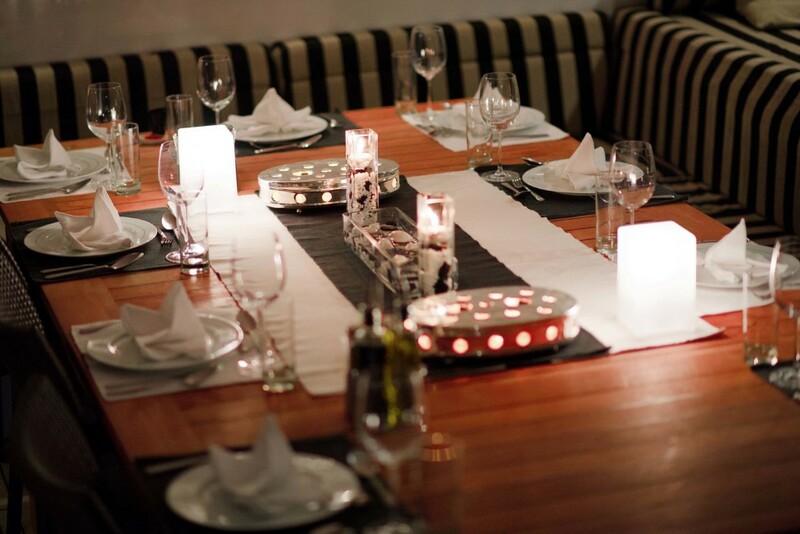 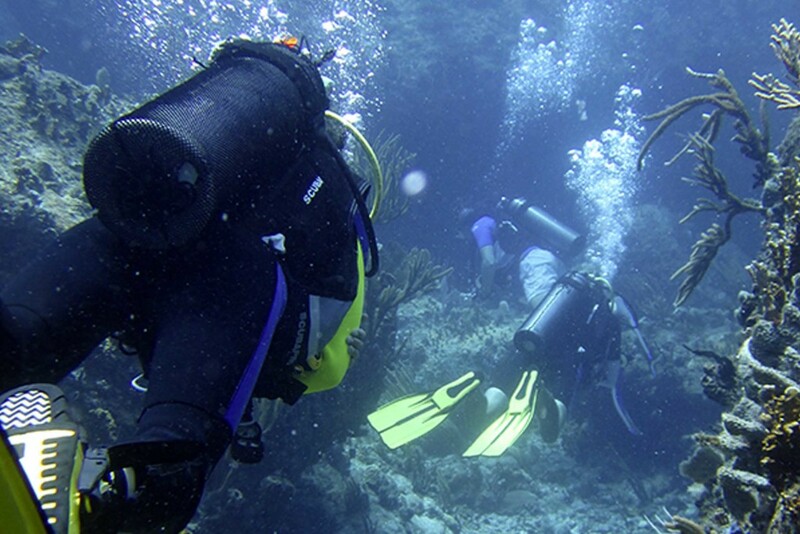 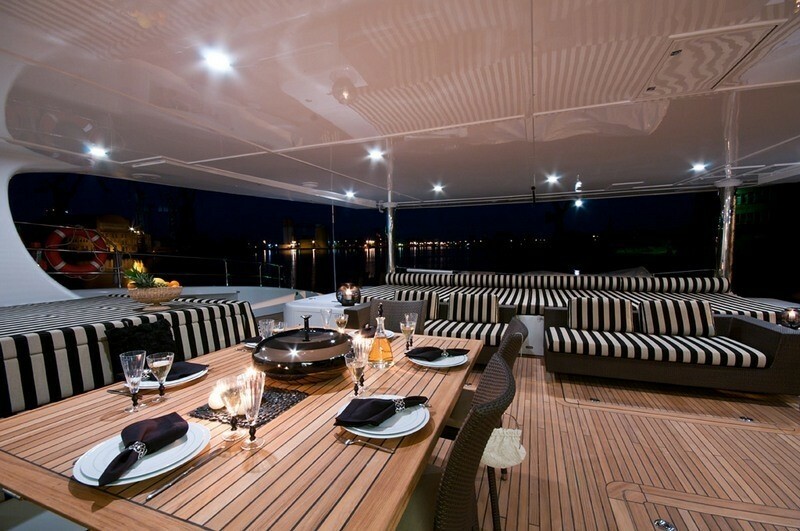 The atmosphere aboard is warm and welcoming throughout. 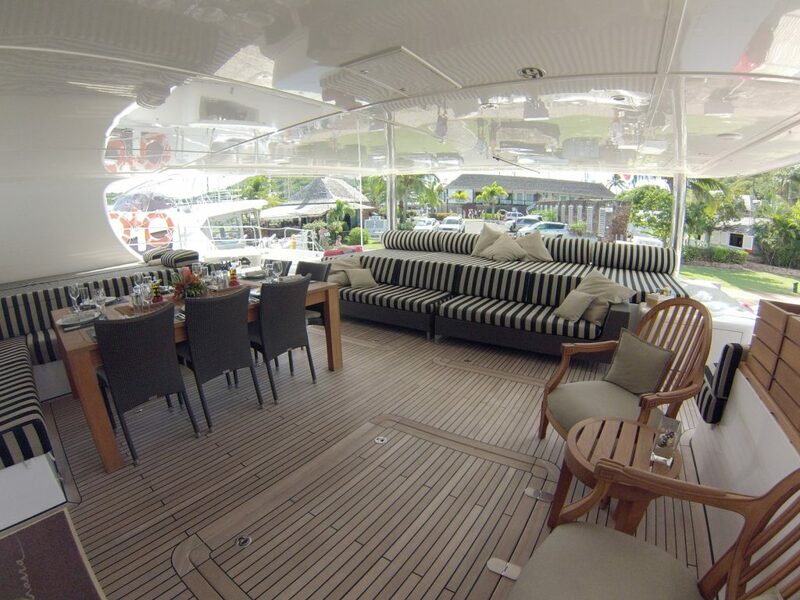 The main salon provides picturesque views, thanks to the wrap-around windows. 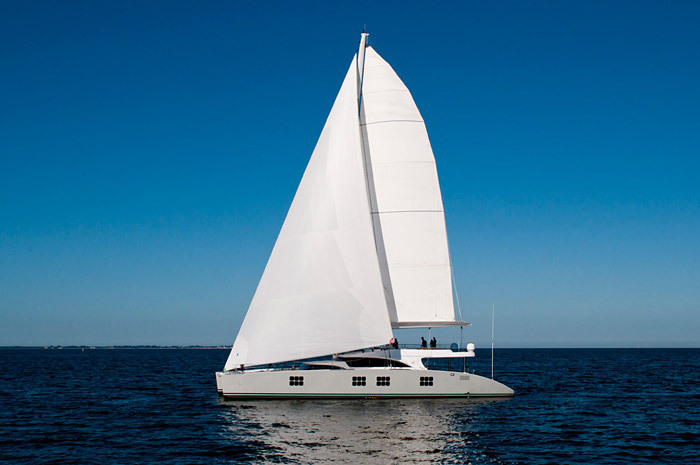 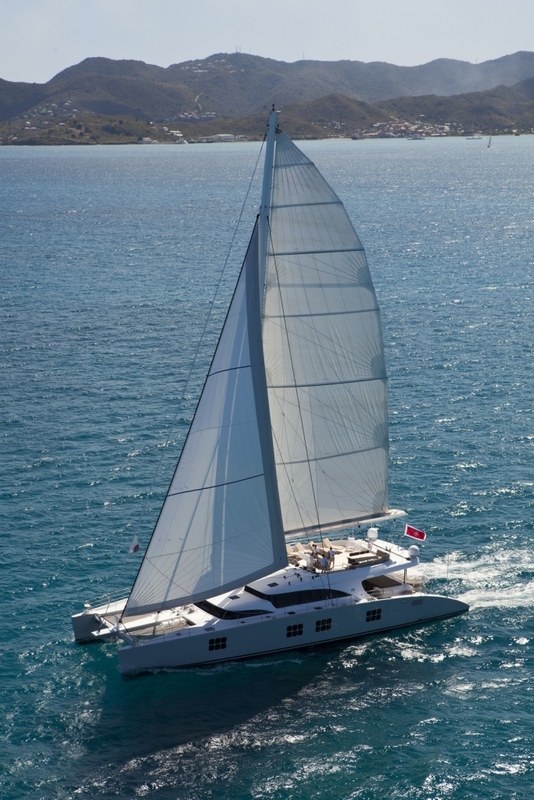 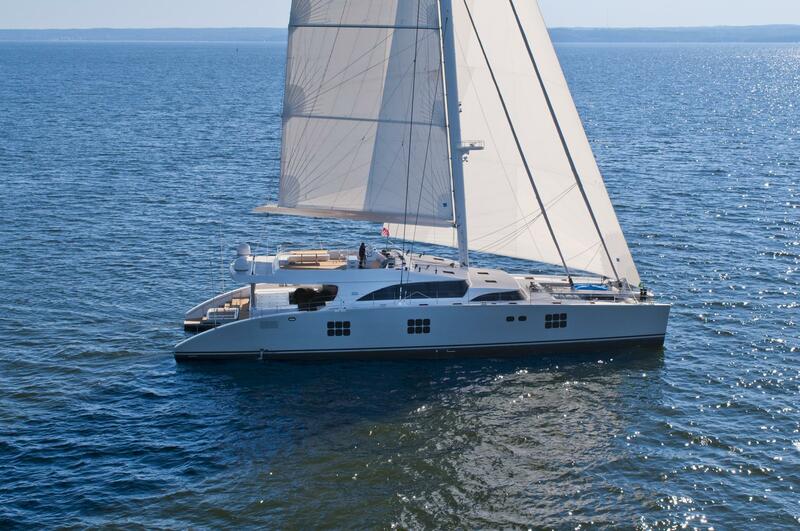 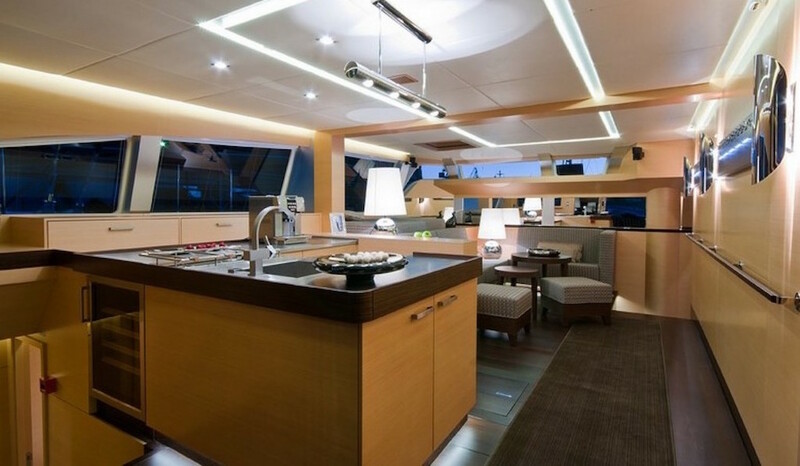 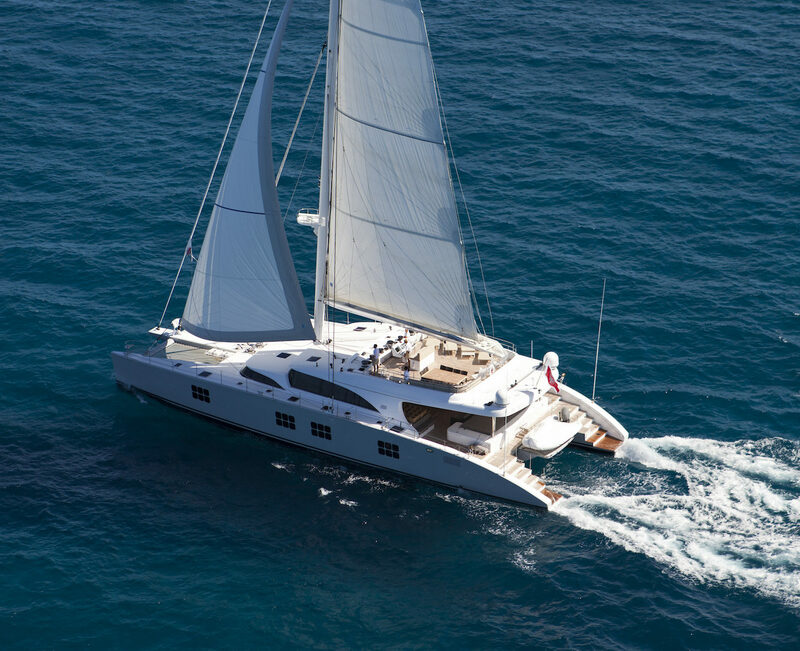 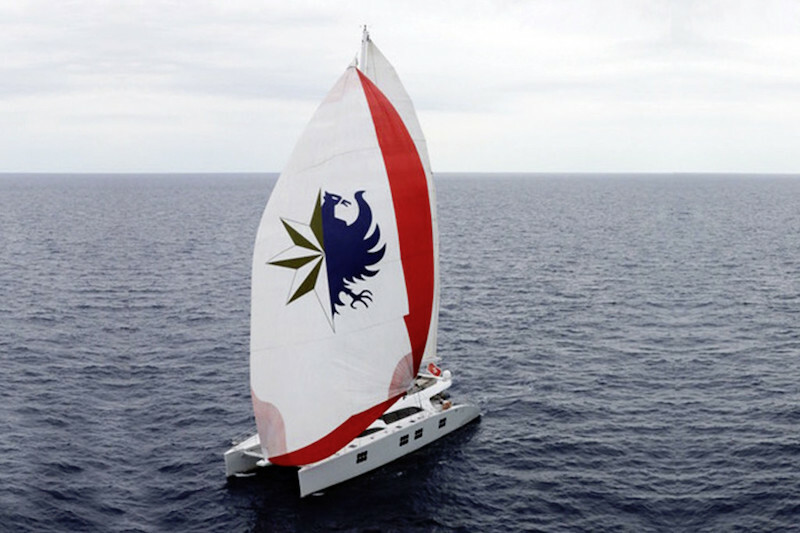 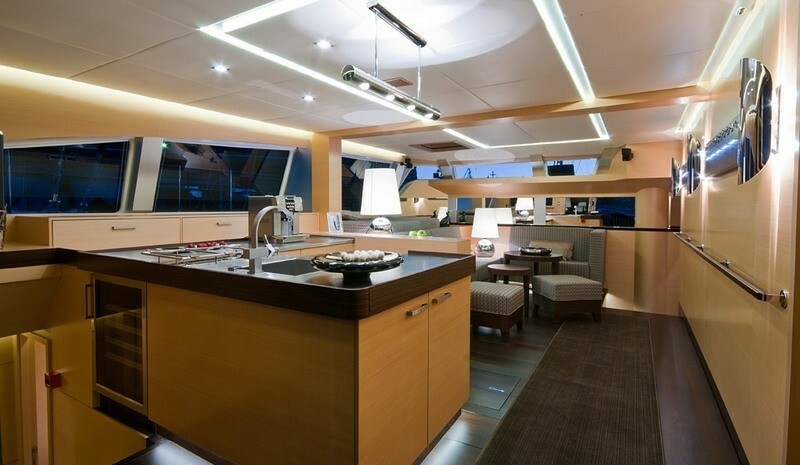 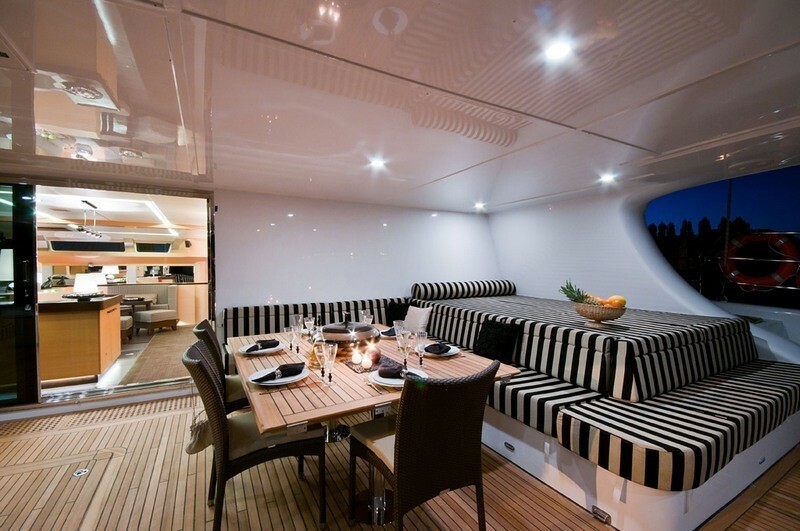 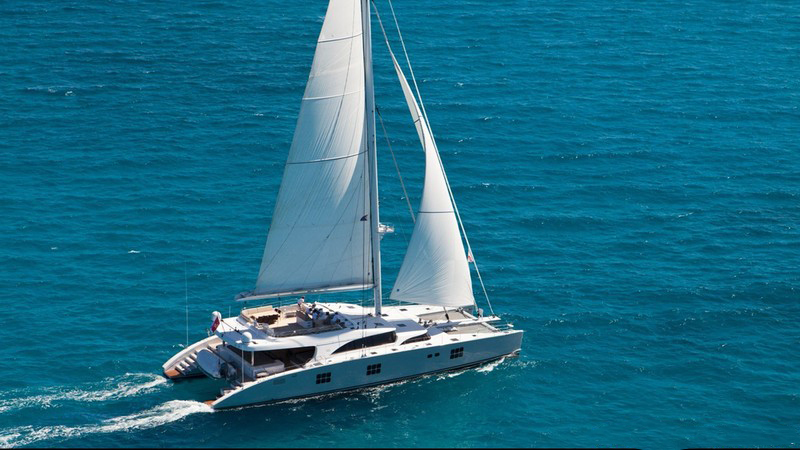 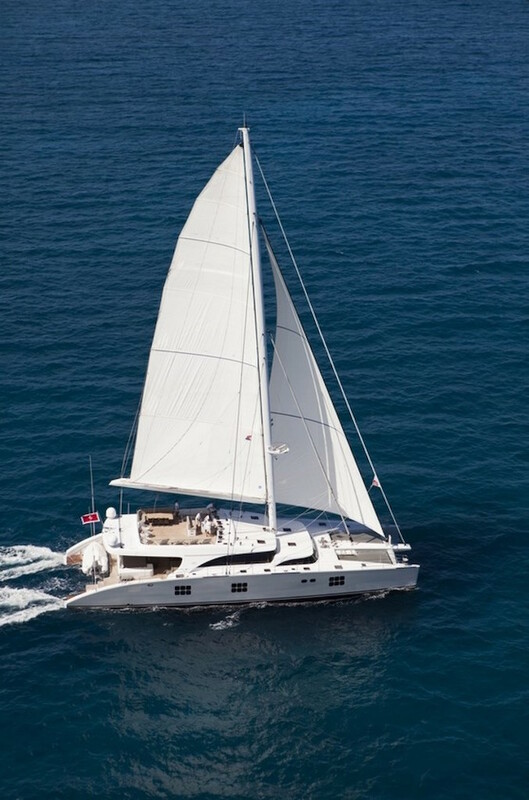 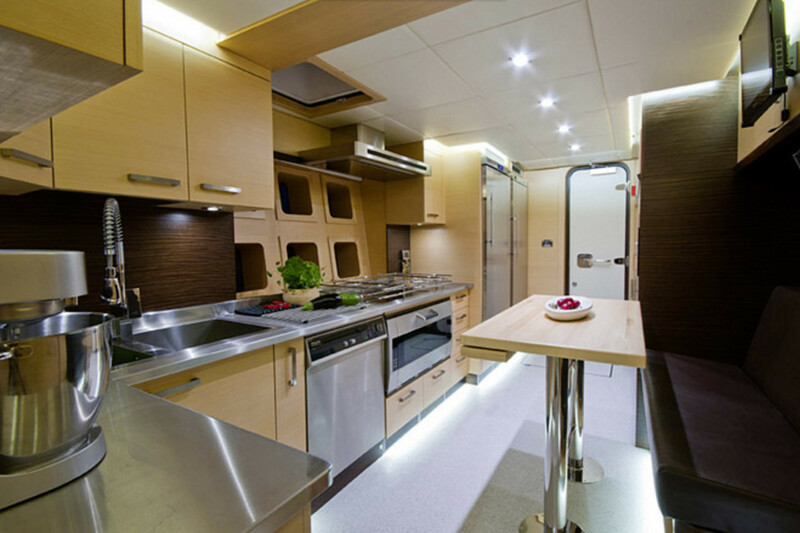 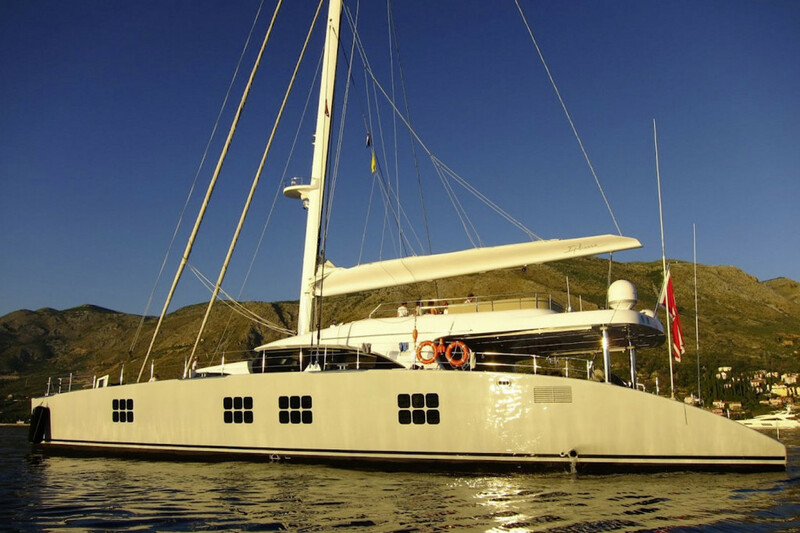 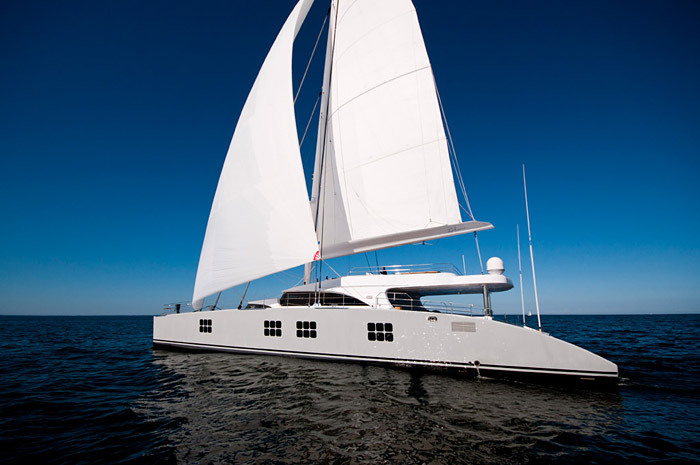 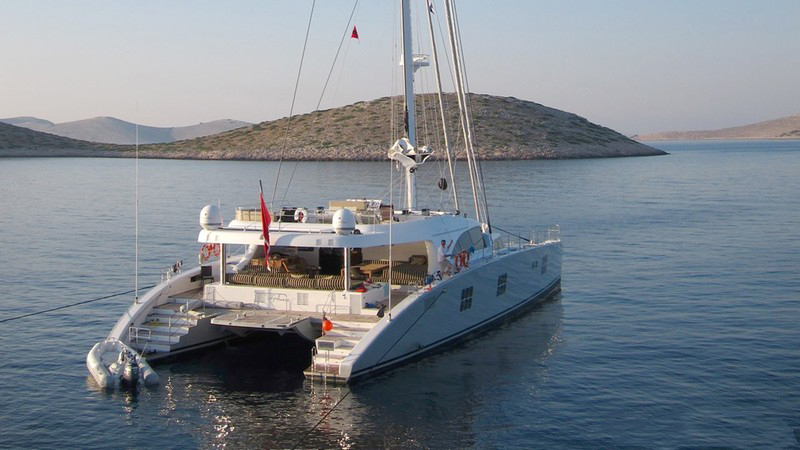 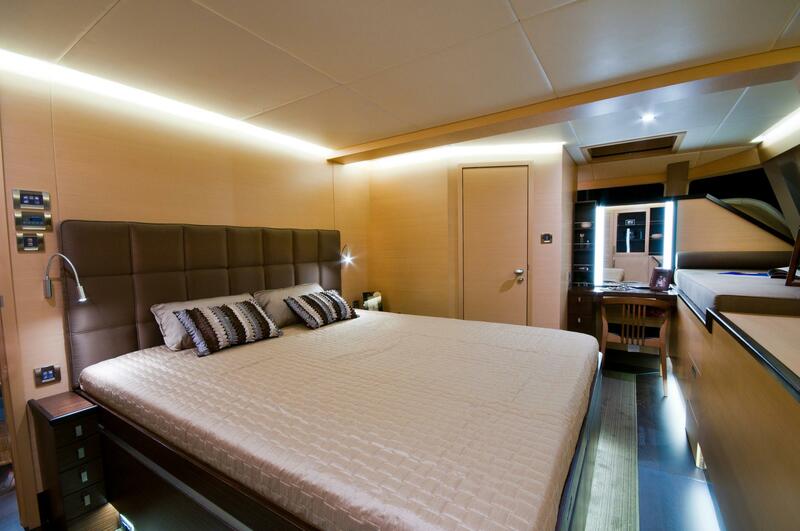 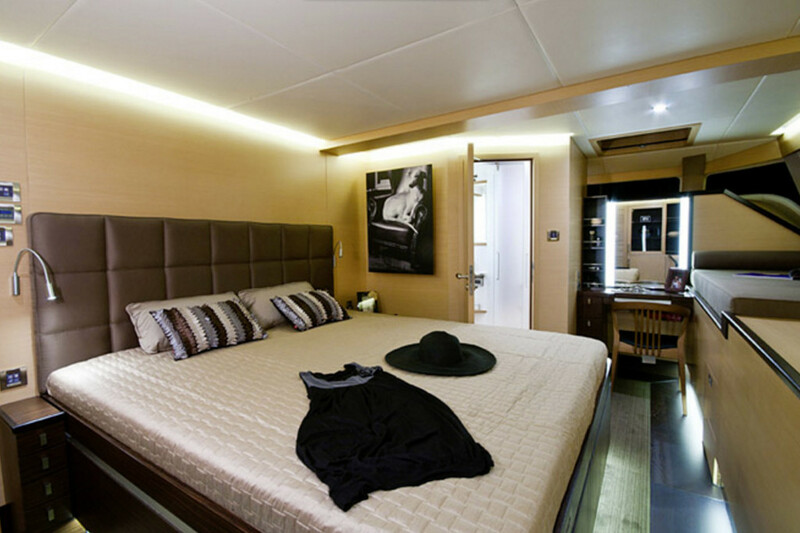 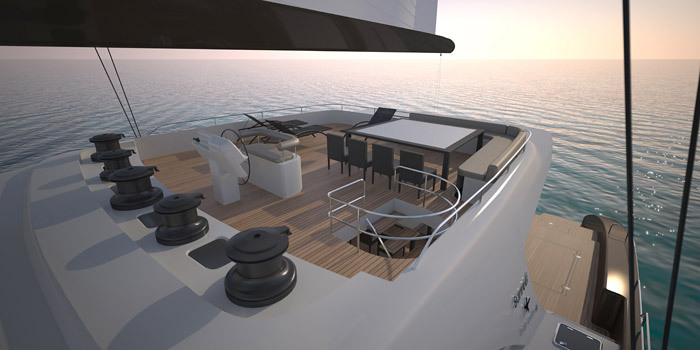 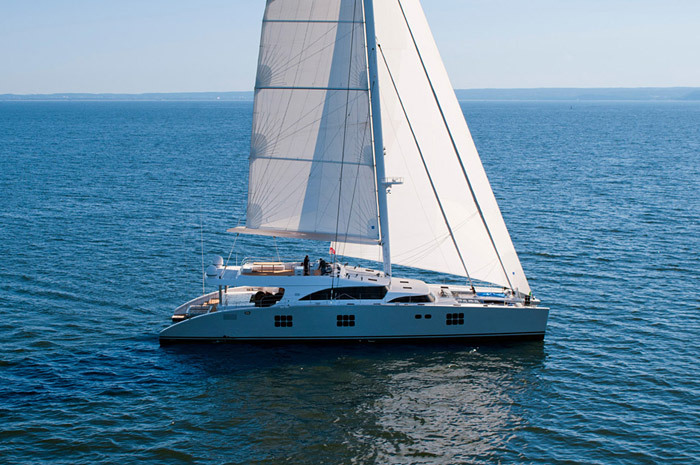 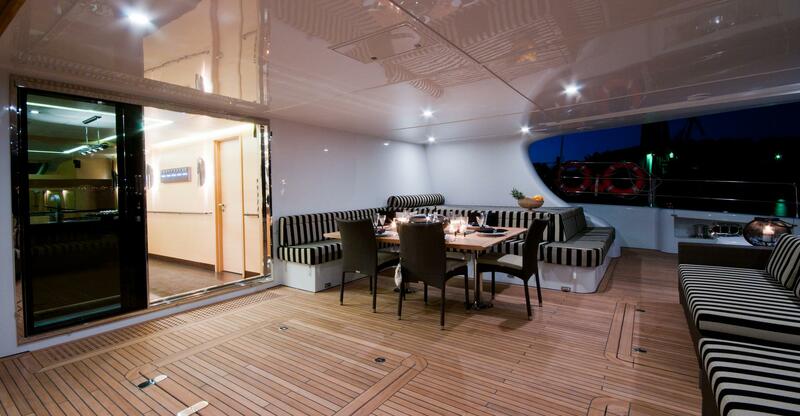 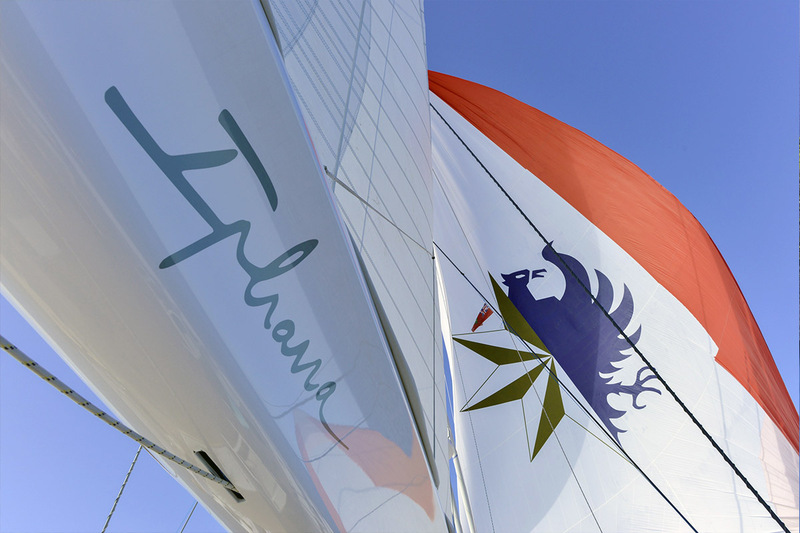 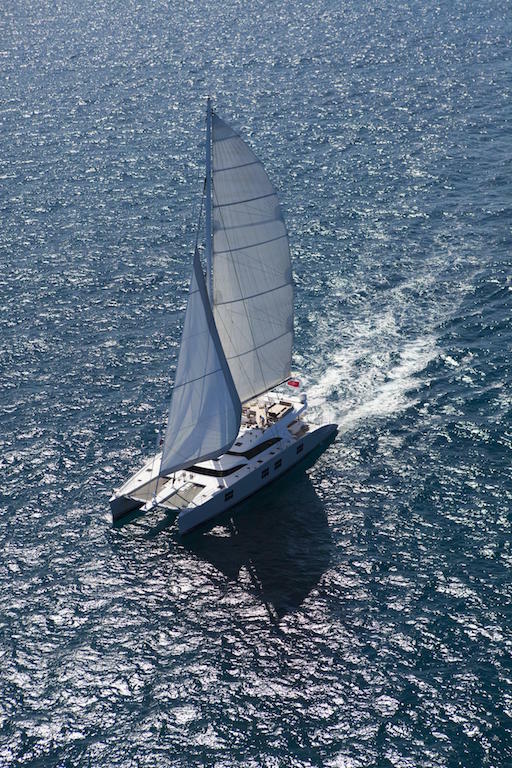 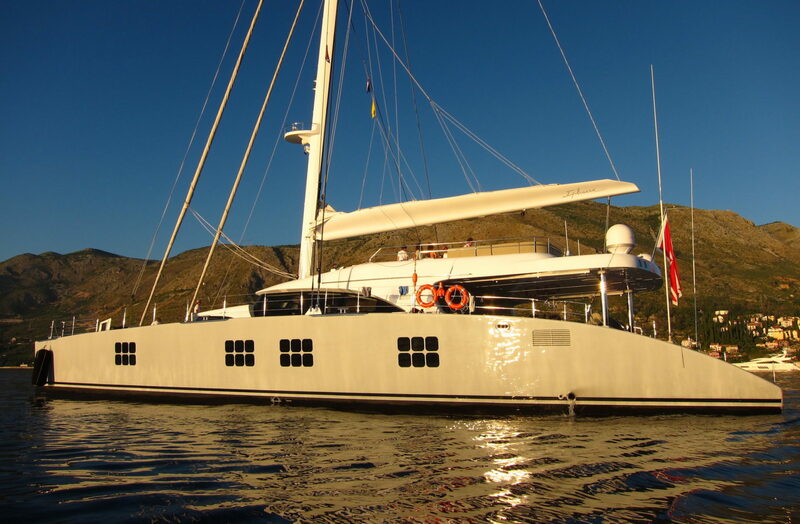 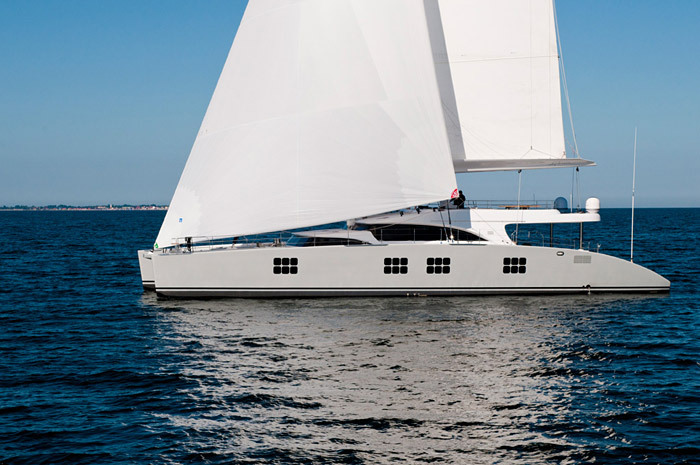 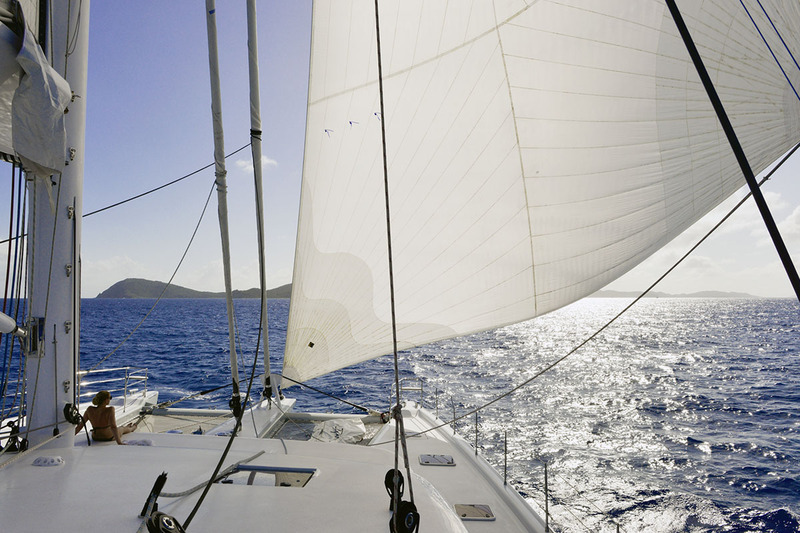 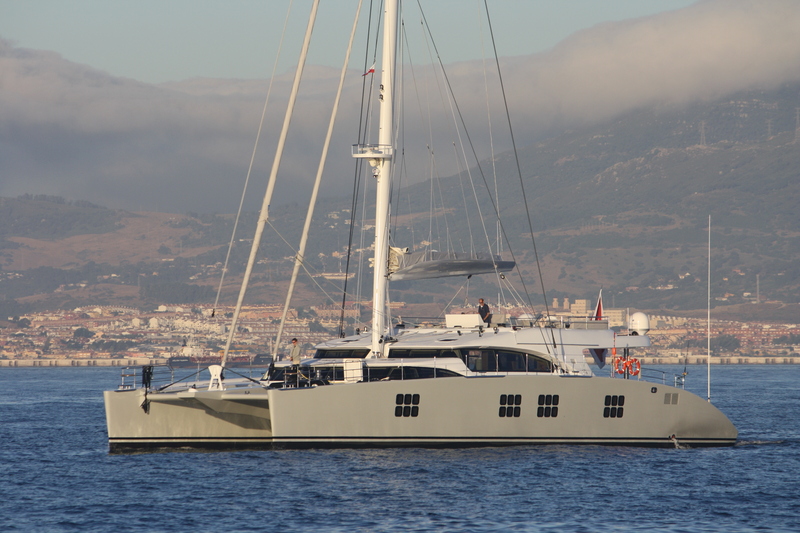 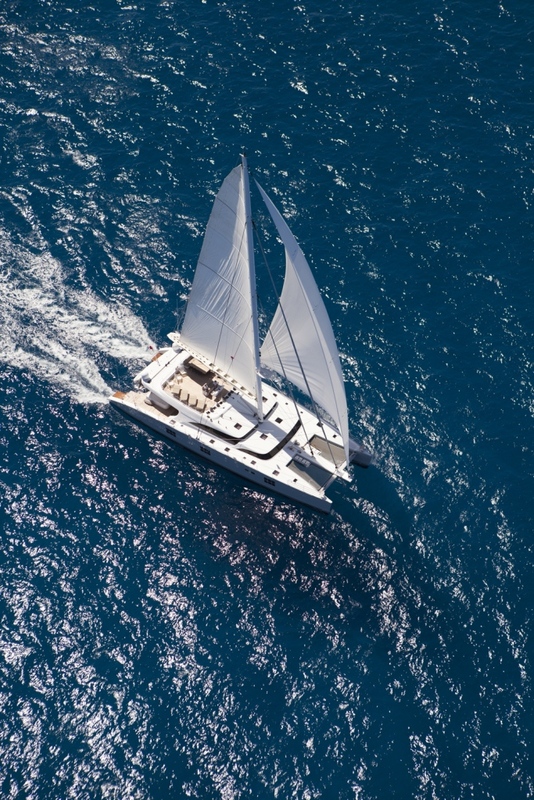 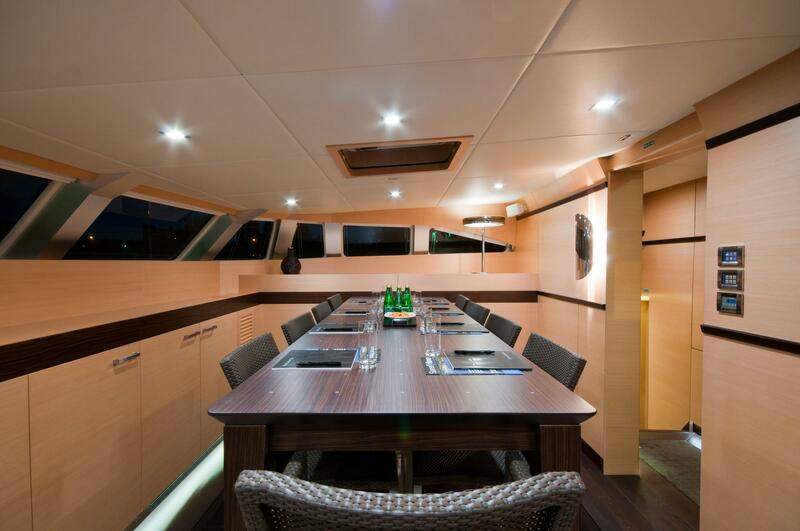 Catamaran IPHARRA is built with an aluminium hull and with her 42ft beam, offers guest unrivalled space and comfort. 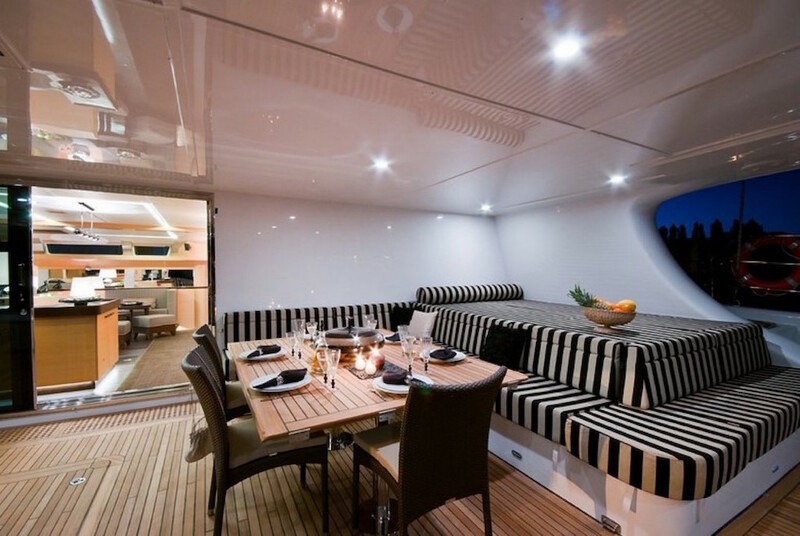 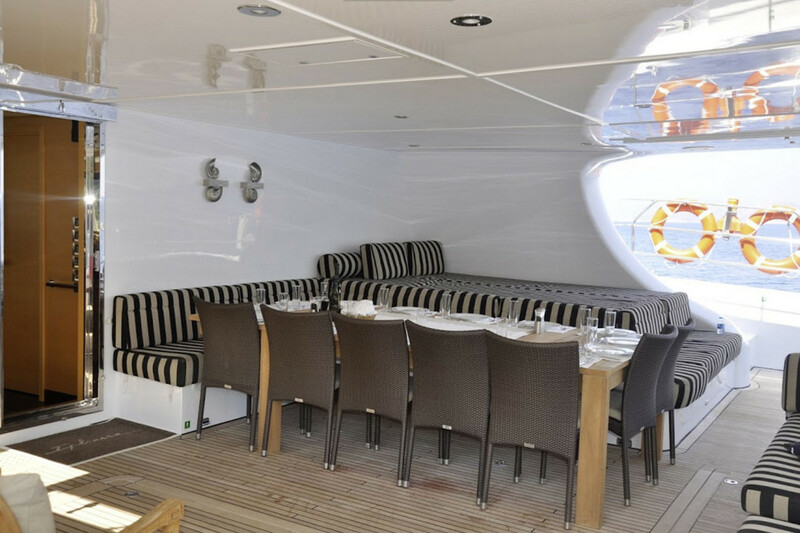 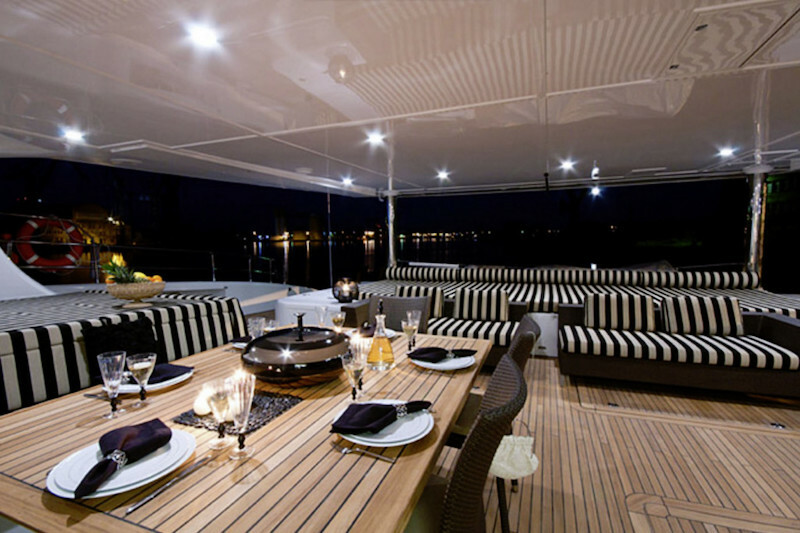 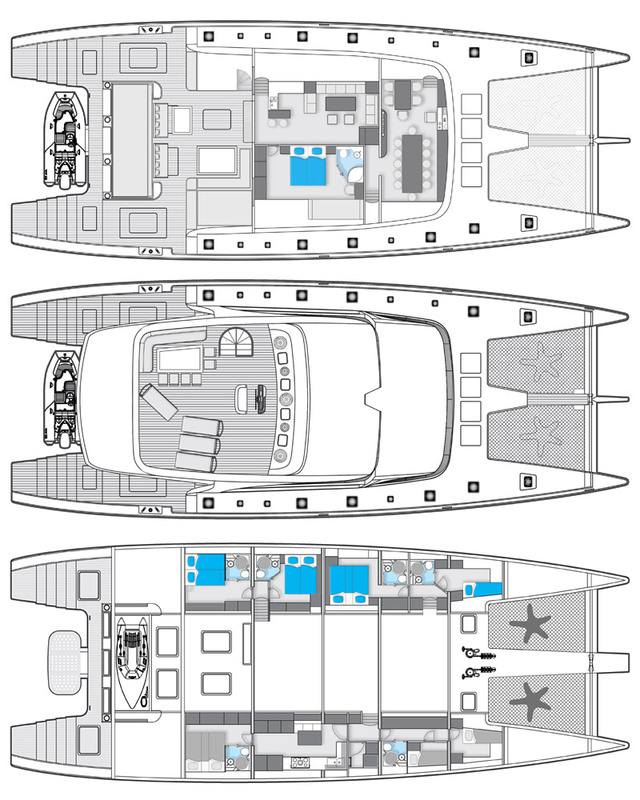 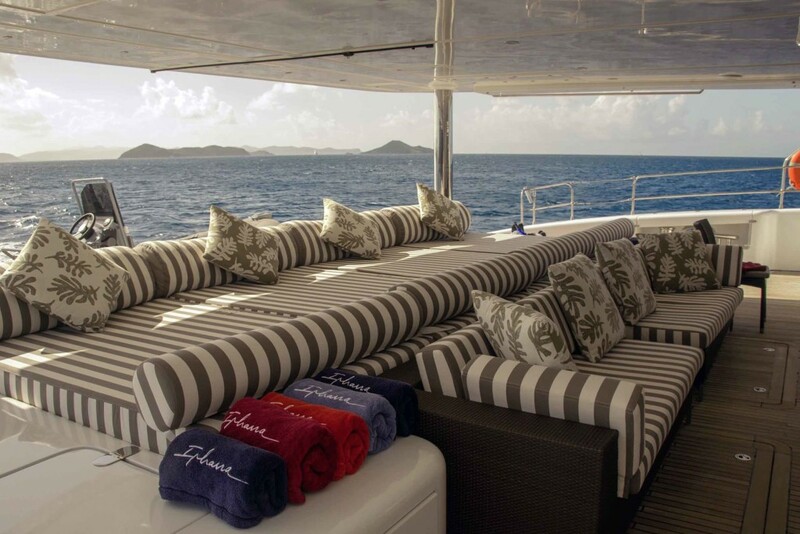 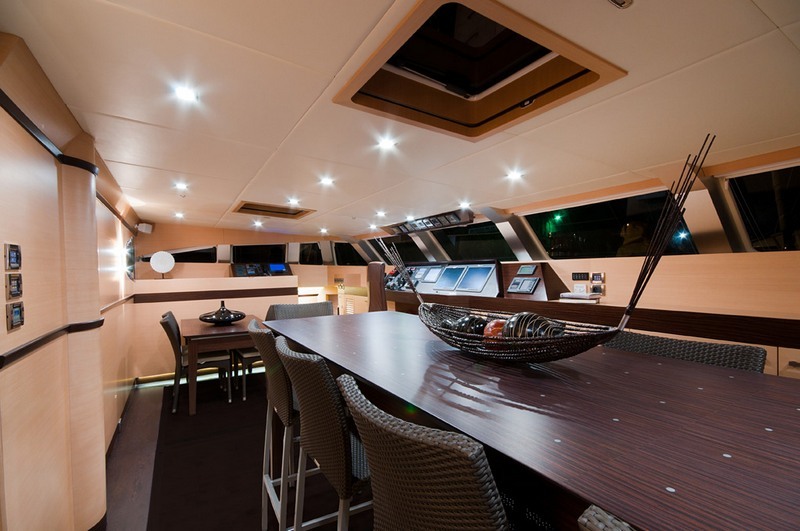 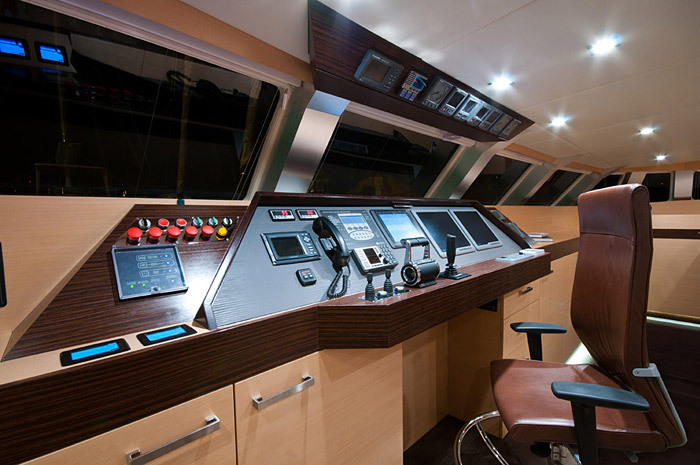 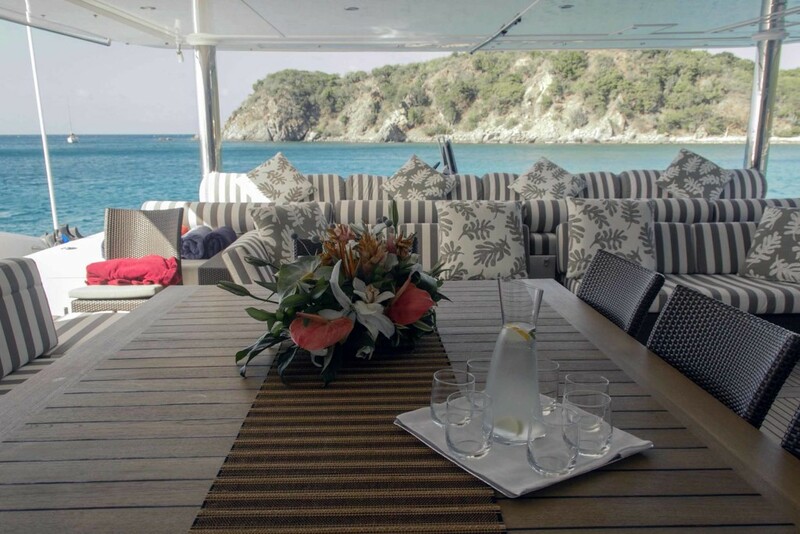 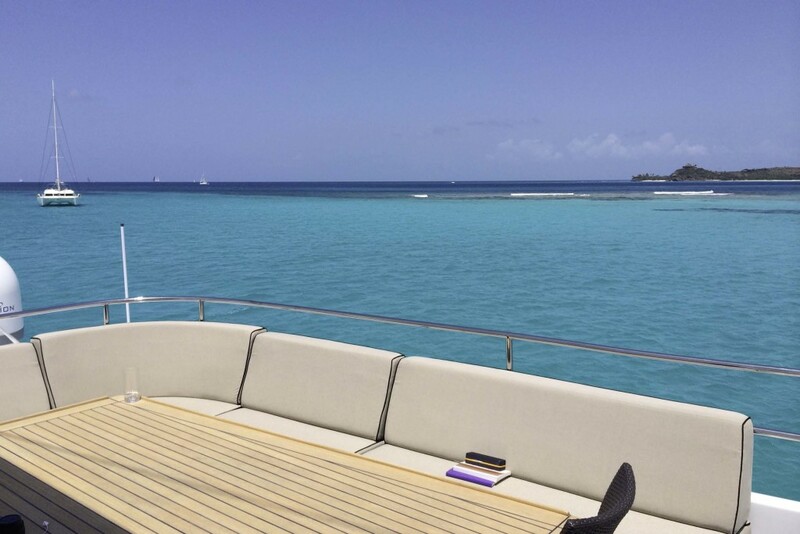 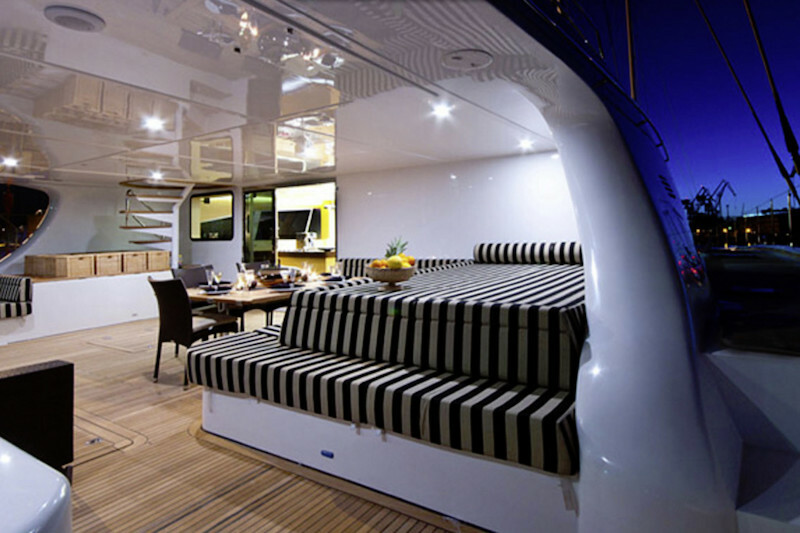 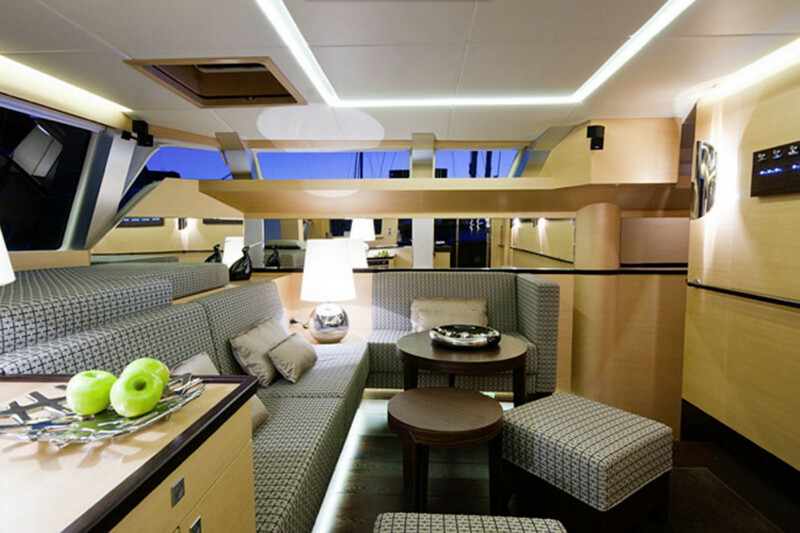 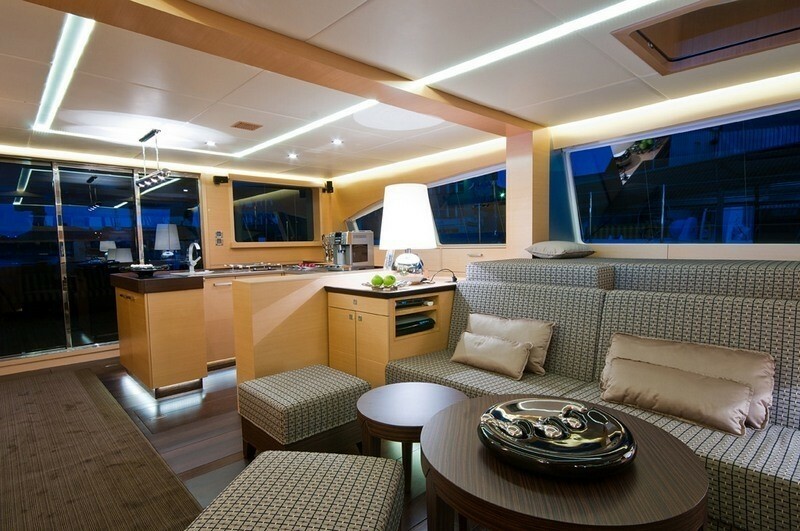 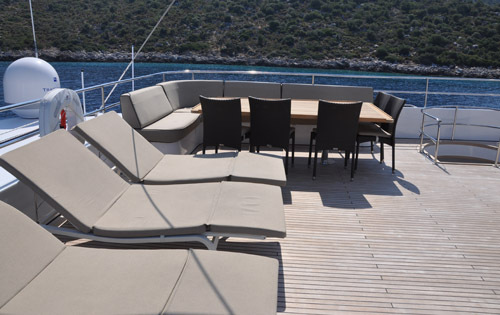 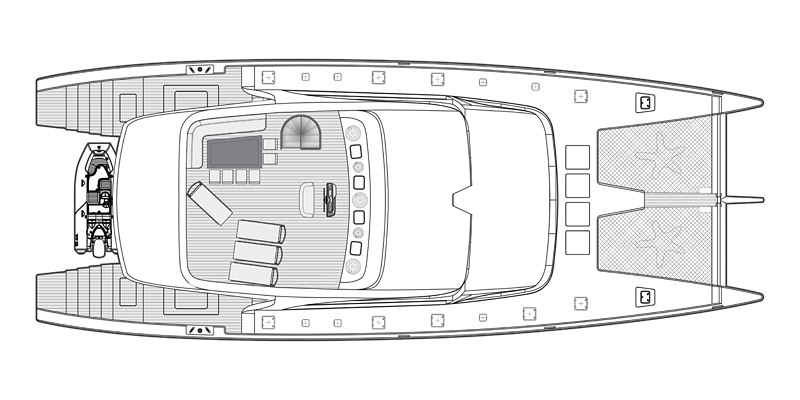 Her expansive shaded cockpit which offers alfresco dining is complimented by her massive flybridge which is also equipped with a dining table and sun loungers. 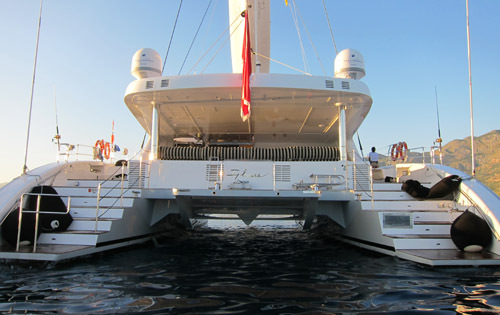 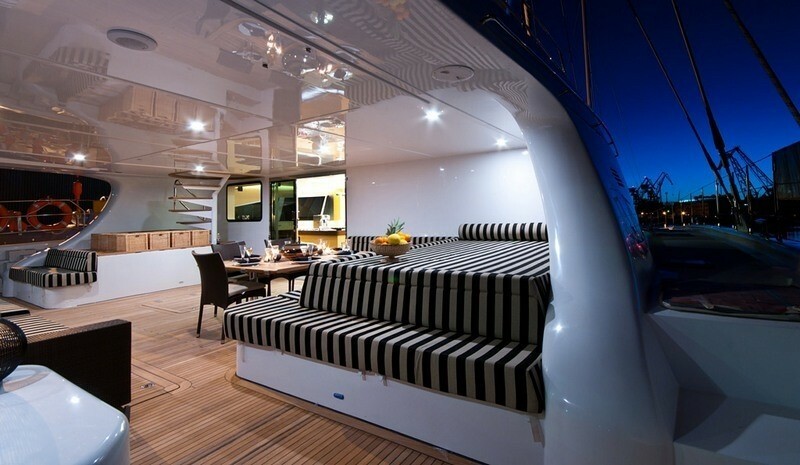 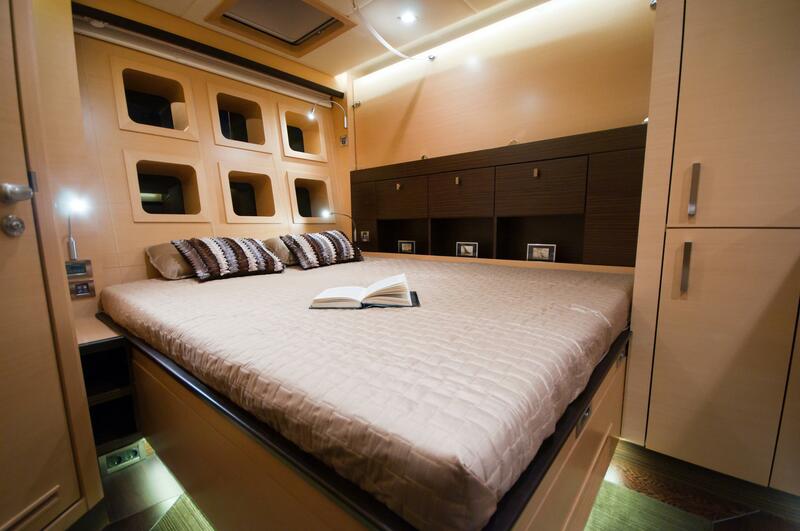 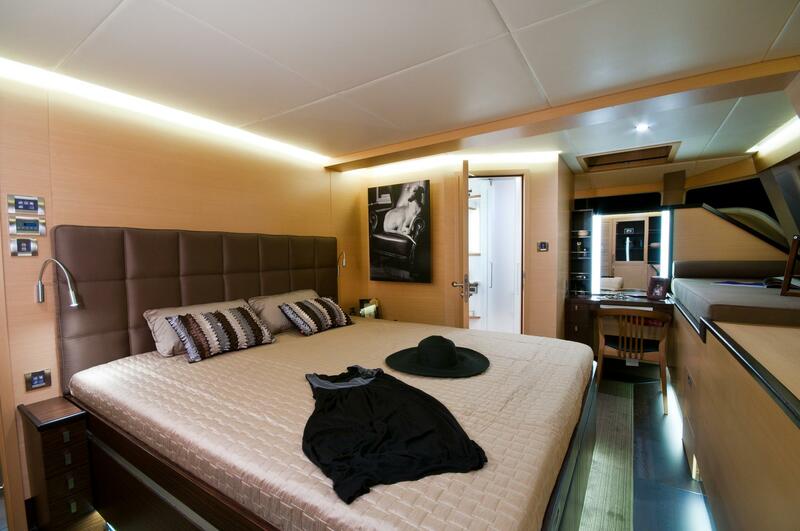 Forward, she offers plenty of room for relaxation and fun on her dual trampolines. 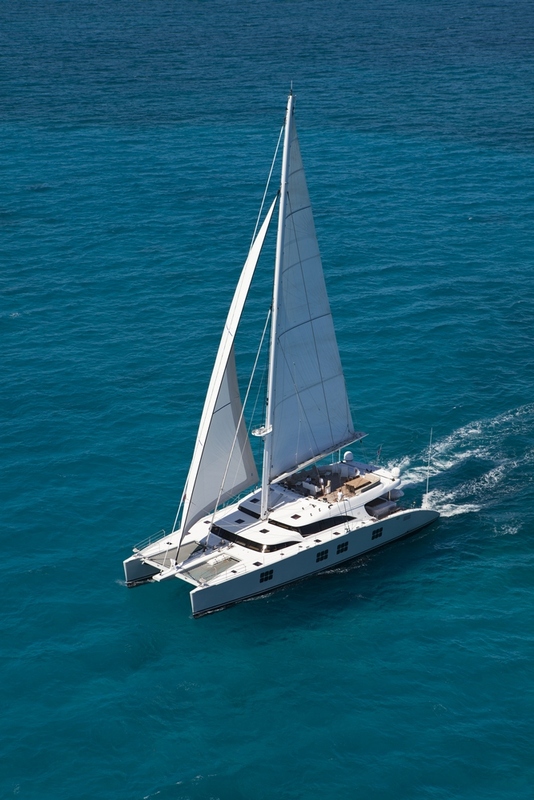 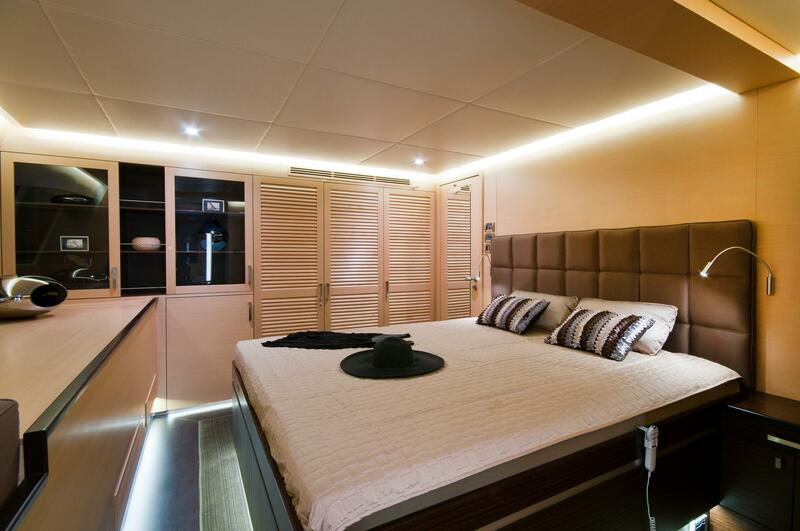 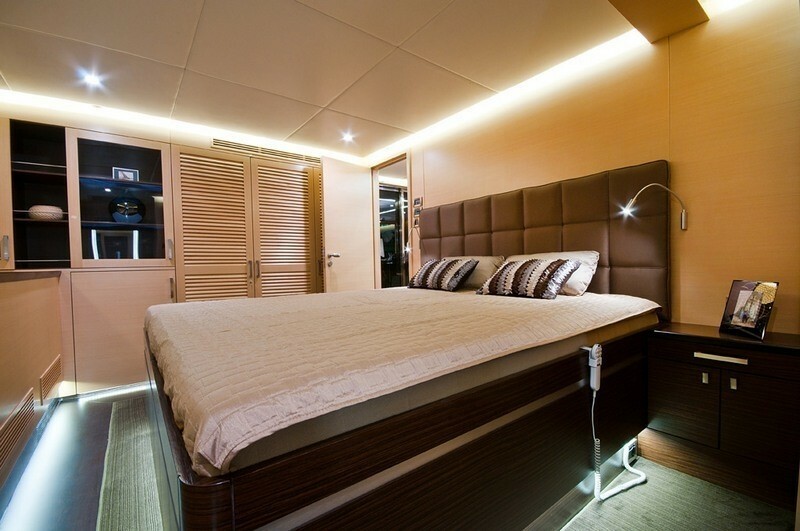 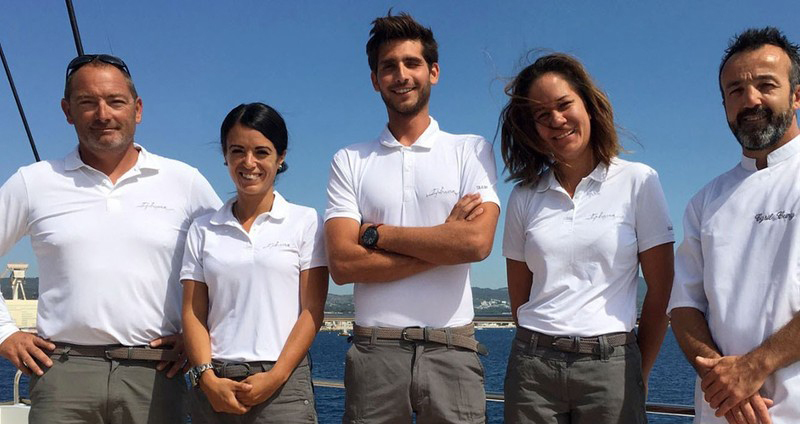 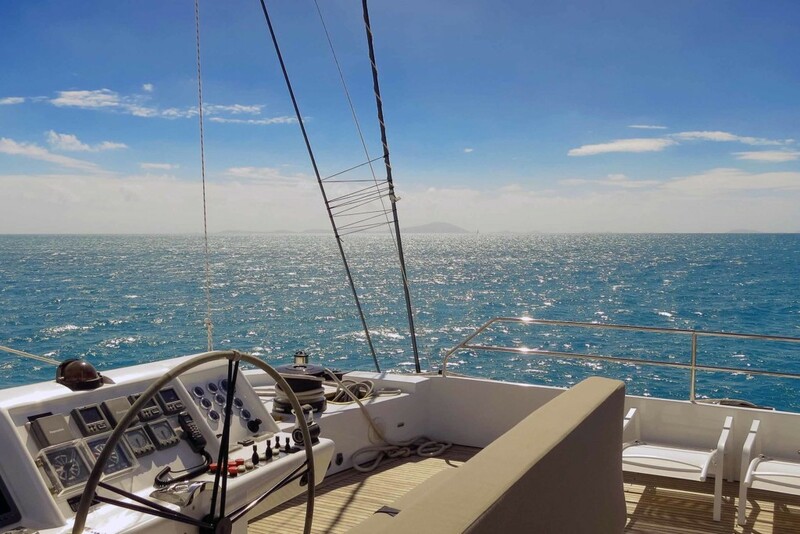 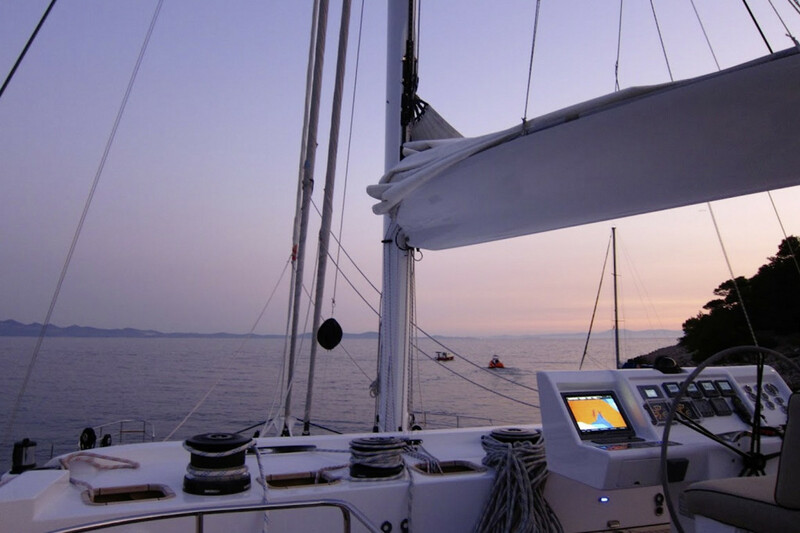 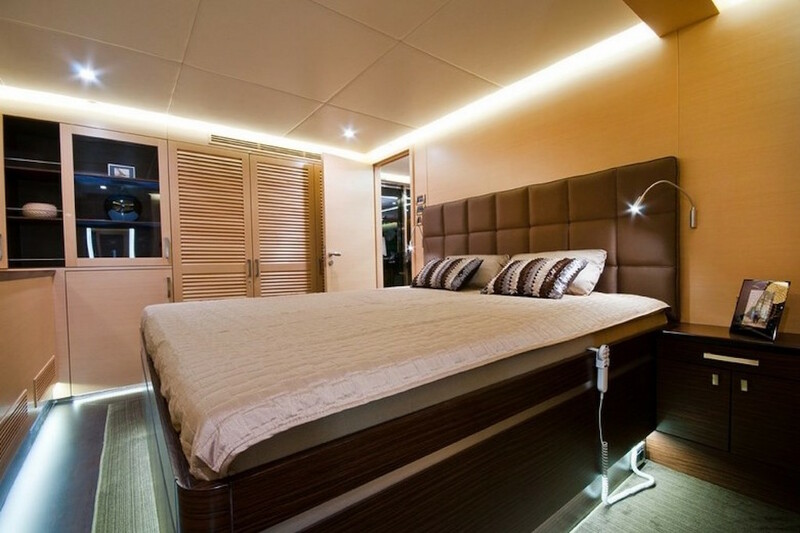 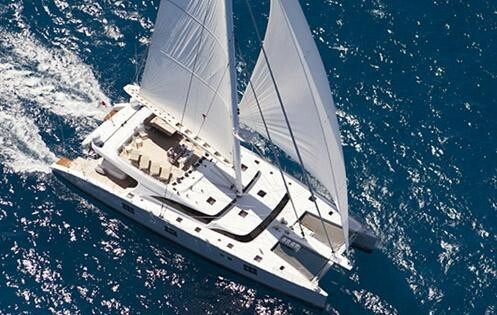 Luxury Sailing Catamaran IPHARRA offers comfortable accommodation for up to 12 guests in five cabins including three doubles and two twins each with ensuite facilities. 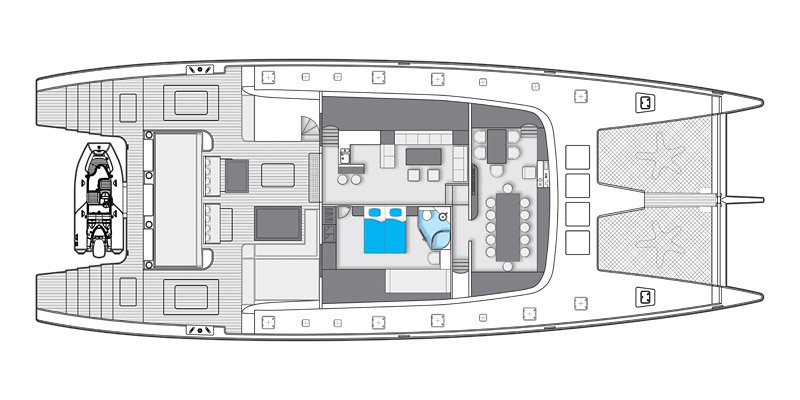 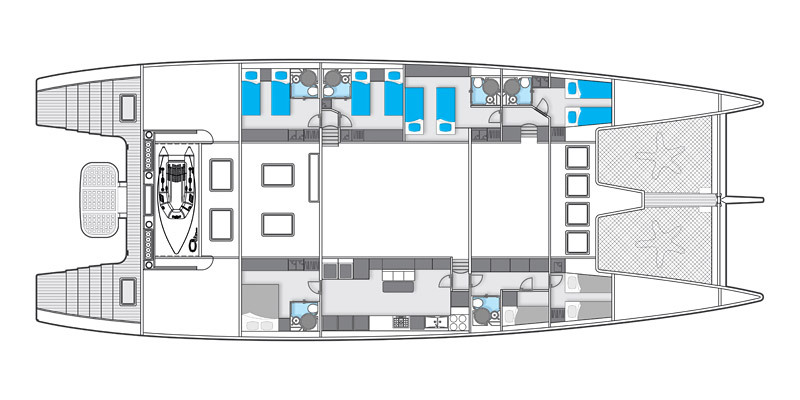 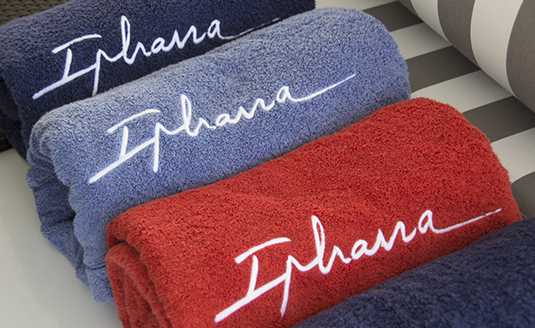 There are additional Pullman berths in some of these cabins which allows IPHARRA to accommodate up to twelve guests, ideally suited to families with children. 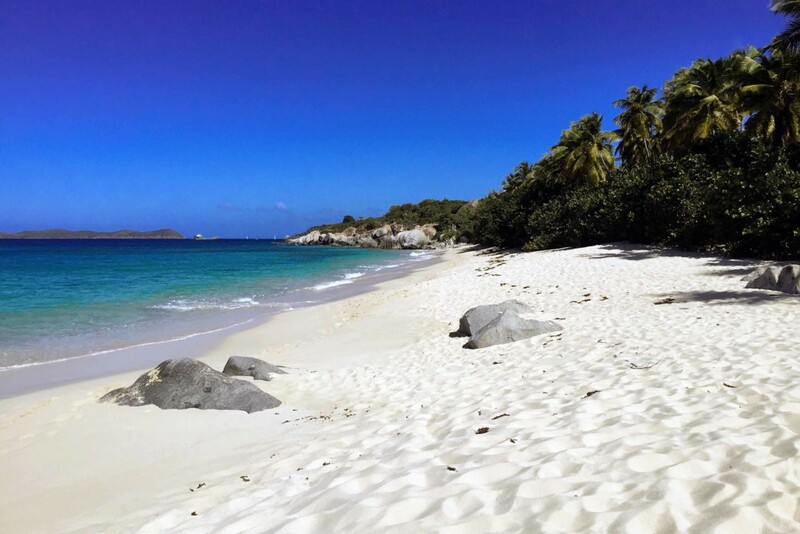 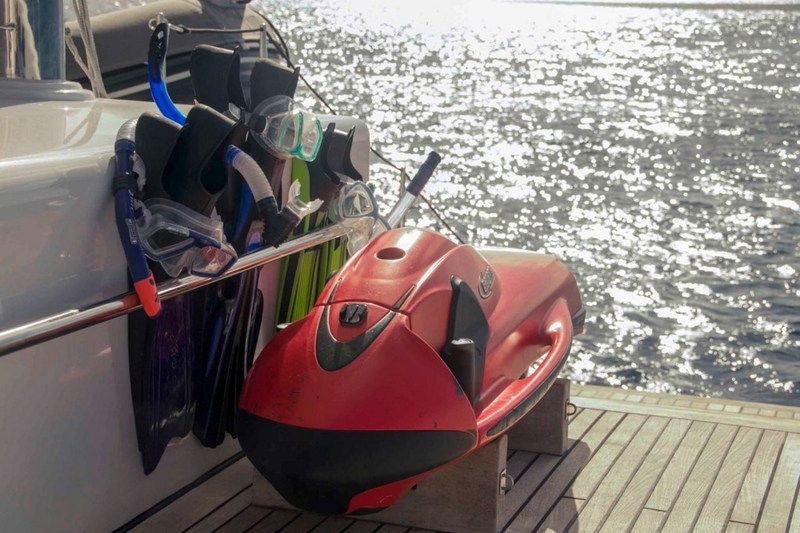 This yacht is equipped with two tenders plus a host of toys including towables such as a kneeboard and waterskis, a kayak, 2 seabobs, a laser sailing dinghy, scuba diving and snorkelling equipment. 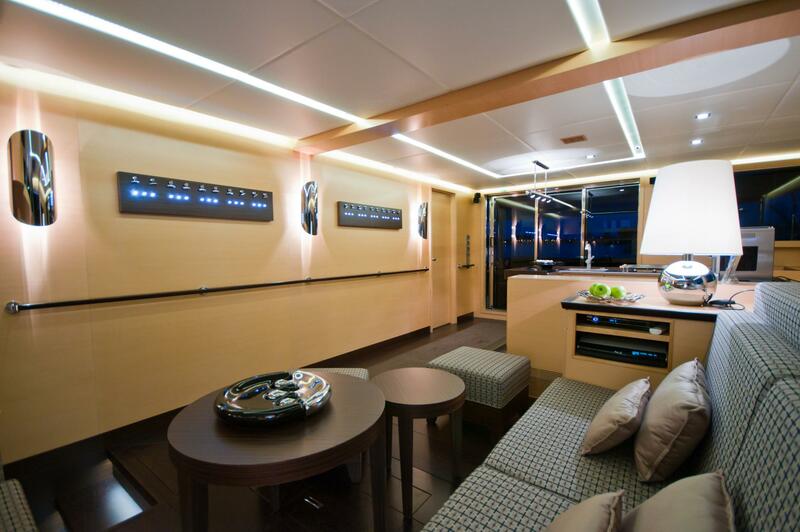 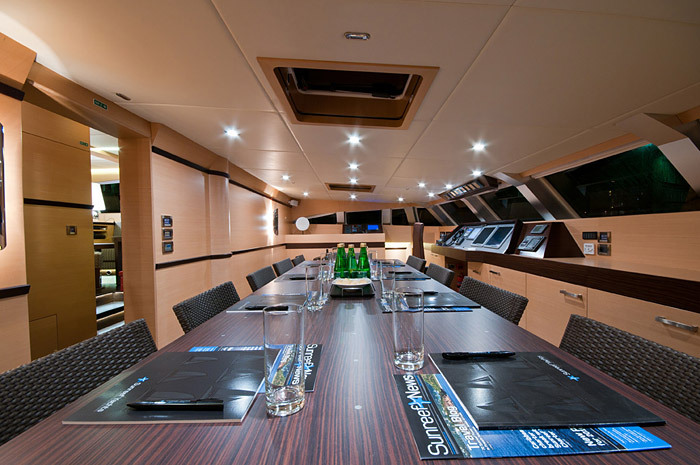 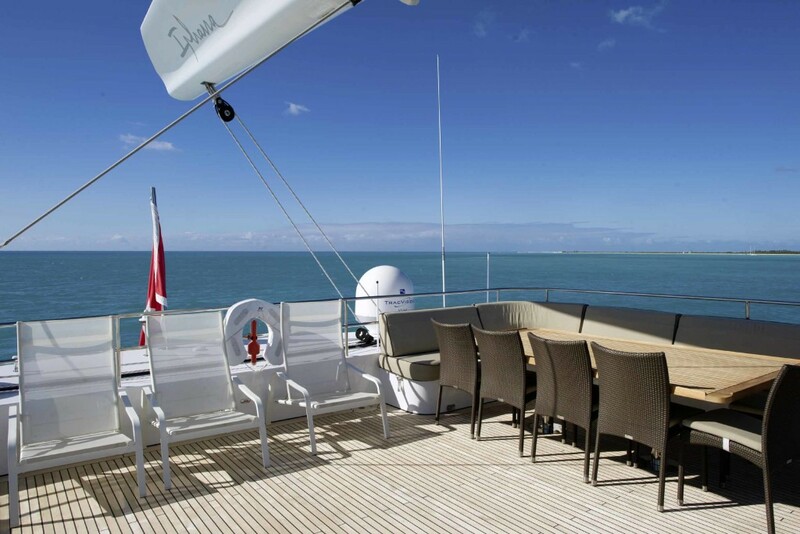 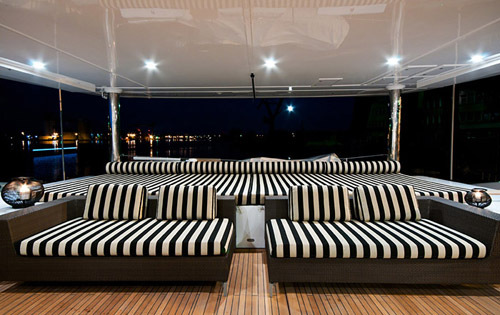 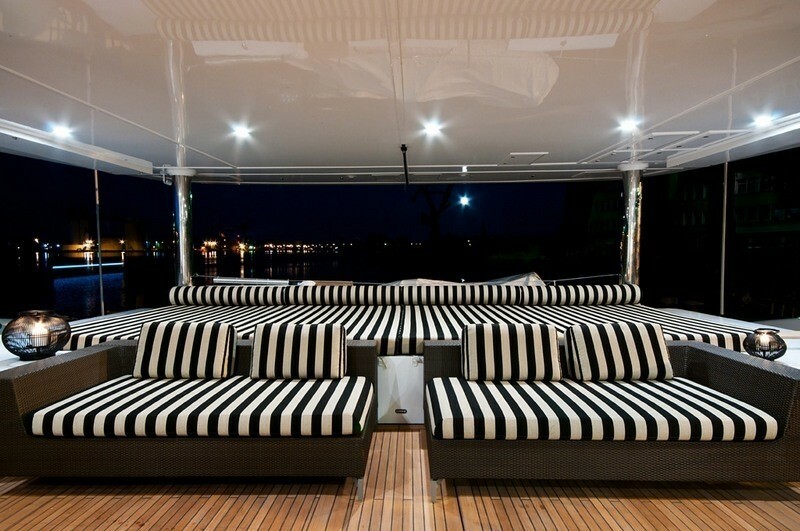 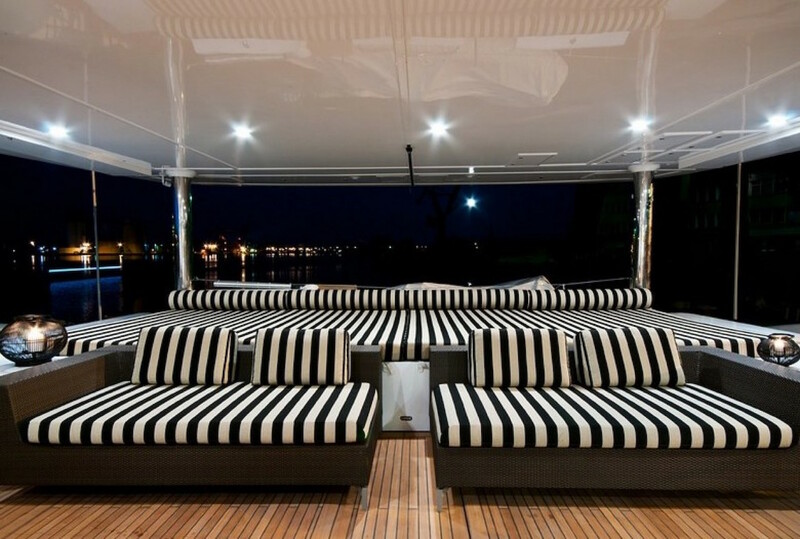 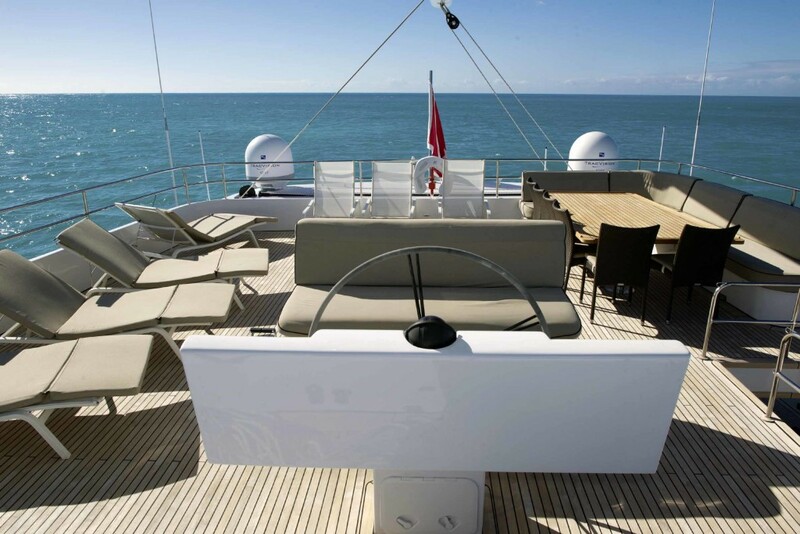 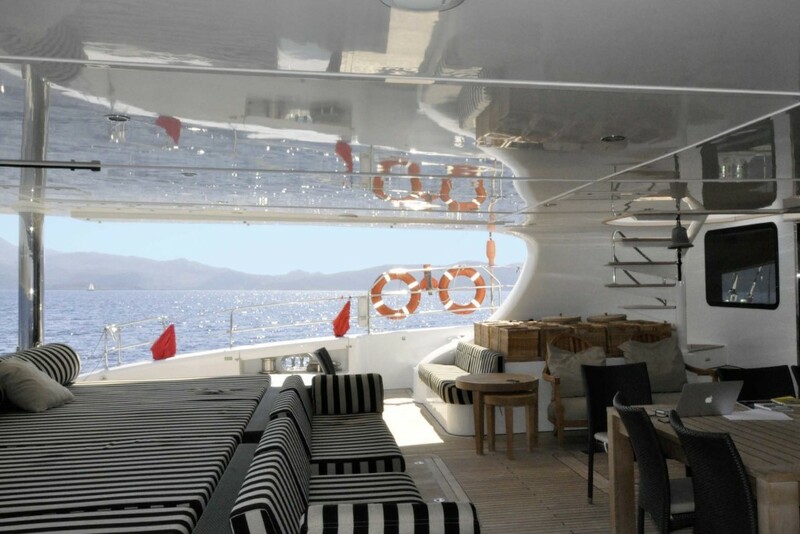 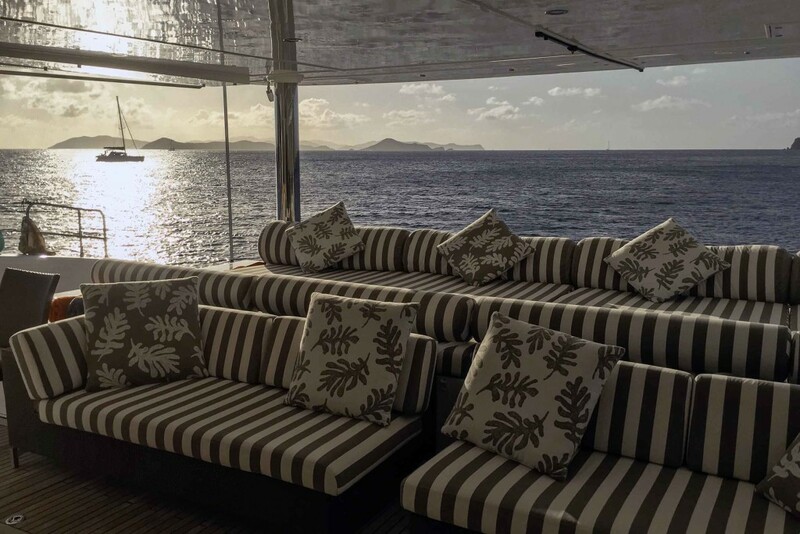 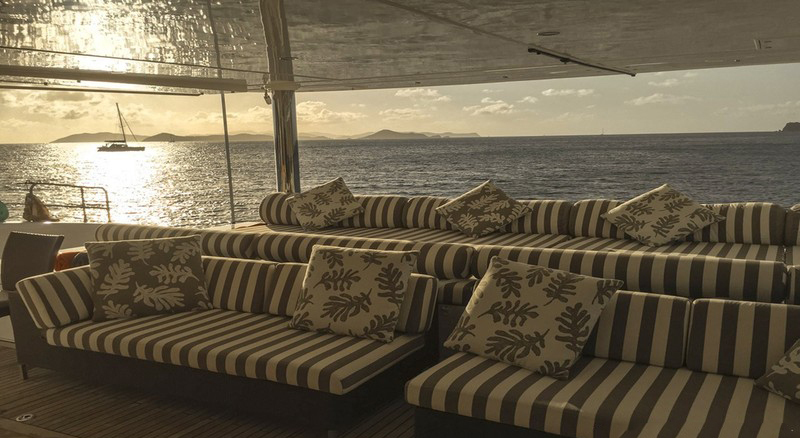 Entertainment facilities including audio visual equipment throughout plus an outdoor home cinema on the aft deck.